• The United Auto Workers spent $52 millon on Obama's campaign. Now they stand to lose at least $16 billion in pensions from General Motors and $7.1 billion from Chrysler. GM will still hand Rick Wagoner, fired by Obama, over $20 million in pensions. And GM has a relatively well-funded pension fund. The PBGC is supposed to take over a large chunk of the obligations, for which it will use taxpayer money. Sure. • Pension plans for US state and municipal employees lost 30% of their value in 2008. In January and February of 2009, they lost another 9%, for an annualized loss of 54%. In dollars, the total loss adds up to about $1.2 trillion. The plans are some 50% underfunded, and all they can do is hold a firesale, at very low prices, of what assets they have left (and that still attract buyers). • I'm admittedly a bit in the dark on the following, but I would bet that the vast majority of pension funds still base their long term views on annual returns of 7% or 8% on investments. Which they haven't gotten in 15 years, even in boom times. Now they are off their own marks by 50% or 60%. It's not hard to see where this story ends. And the same is true for pension funds all over the world. There may of course be exceptions, and there will even be some in the US, but they'll be as rare as Hailey's comet. And don't get me started about all the funds that have been robbed blind by companies and governments. How Can Mortgage Securities Be Worth So Little When Houses Aren't Going To Zero? The study out of Harvard and Princeton arguing against the official story line about firesales underpricing toxic assets is now coming under fire from those who think the authors are too pessimistic about asset values. Megan McArdle at the Atlantic's Business blog raises two objections. If toxic assets aren't underpriced, we're all in "big, big, BIG trouble." The market prices for toxic assets don't reflect reasonable expectations of cash flows. Her first objection isn't really so much an argument as a lament. The correct response is simply: Yes. We are in big trouble. Some of our big money center banks are insolvent. But just because something is very bad news doesn't mean it isn't true. The second objection is more substantive. We hear a different version of it all the time: real estate isn't going to zero, so therefore securities backed by real estate can't go to zero. This makes sense only if you don't really understand how complex the collateralized debt market got during the boom years. Because once you understand this, it's pretty obvious that even though most mortgages will continue to perform, lots of real-estate based assets held by banks can go to zero. Let's ilustrate this with an example of an asset backed security built on home loans. (We're borrowing the example from the excellent Acrued Interest blog.) These weren't exotic credit products. In fact, for most of the years building up to the crash, HEL ABS (as they were known in the business) was the dominant credit product. In 2005, something like $400 billion were issued. At the time, JP Morgan Chase was urging clients to buy this stuff by saying the pricing was "cheap" because of "irrational fears" over a housing bubble. So let's say our imaginary bank, CitiMorganAmerica, decides it wants to sell HEL ABS built from mortgages with $100 million face value. One of the first things it does is cut this up into tranches to reflect the risk and price points of various customers. For simplicities sake, we'll just pretend that there are only three tranches. (In reality, there could be dozens of tranches). The reason the lower tranches get bigger coupons is that they are riskier. They only receive interest payments after the tranche above them have received all interst payments they are due. Each tranche below senior receives principal payments only when the tranche above them has been full paid off. Any short fall hits the lowest level first. Here's where things start to get scary. If just 5% of the mortgages in that HEL ABS default, the subordinate tranche is worth zero. We're just about at 5% national default rate for all mortgages right now. Default rates on more recent mortgages are even higher. Fortunately, the ratings agencies were pretty good about this level of stuff so the Mezz and Sub investors knew they were getting riskier products, and only the senior deal would be rated AAA. Now lets see what happens when we build a CDO on these types of deals. CitiMorgan America takes $1 billion and buys the Mezz and Sub tranches of 50 HEL ABS deals that are built just like this. It slices up the CDO just like it did the earlier deal. These pay out just like the ABS, a waterfall filling up each bucket before anything gets paid to the next level down. The top tranche of this CDO can be rated AAA even though it is built out of already subordinated debt. You see, even though it is technically subordinated debt, there are so many underlying mortgages spread out across the country that the odds of systemic defaults materially affecting the cash flow would have been viewed very remote. After all, what are the odds that defaults will suddenly tick up all around the country? See the problem? Here you have $1 billion of assets that can be devastated by a small increase in the default rate. If defaults climb to just 5% for the underlying mortgages, the cash flows will drop 25% as the portion of the CDO built from the Sub HEL ABS stops paying. Everything but the senior portion of the CDO gets wiped out. If the losses on the mortgages rise to just 10%--high defaults from those bubble years from 2005, lower than expected recovery rates from foreclosures on houses with falling values, cram downs--even the most senior piece will lose 30% of its value. In short, structured debt can rapidly decline in value even though the underlying assets don't decline as much. The benchmark index of the market for securities backed by home loans shows that the AAA tranches for deals made in 2007 are valued at about 23% of their original value. The lower tranches show losses greater than 97%. Some of this may no doubt reflect a bit of irrational fear and illiquidity. But claiming the overwhelming majority of these losses aren't real is just wishful thinking. Den Black, a retired General Motors Corp. engineering executive, says he’s worried and angry. The government-supported automaker is going bankrupt, he says, and he’s sure some of his retirement pay will go down with it. "This is going to wreck us," said Black, 62, speaking of GM retirees. "These pledges from our companies are now garbage." As the biggest U.S. automaker teeters near bankruptcy, workers and retirees like Black are bracing for what may be $16 billion in pension losses if the Pension Benefit Guaranty Corp. has to take over the plans, according to the agency. As many as half of GM’s 670,000 pension-plan participants might see their benefits trimmed if that happened, an actuary familiar with the company’s retirement programs estimates. The possibility that GM might dump its pension obligations is likely to intensify debate over the treatment of executives of companies that receive U.S. aid. GM Chief Executive Officer Rick Wagoner, ousted by the Obama administration last month, may receive $20.2 million in pensions, according to a regulatory filing. "The core issue is fairness," said Harley Shaiken, a labor professor at the University of California at Berkeley. "To have workers lose a significant amount of their pension after giving a lifetime to building a company is devastating under any circumstance. It’s made all the more worse by the symbolism of a $20 million payoff at the top." Measured by participants, GM’s pension plan would be the largest taken over by the PBGC, a quasi-government corporation created by Congress in 1974 to protect pension programs of bankrupt companies. Dealing with pensions may be one of the thorniest issues facing President Barack Obama in a GM bankruptcy. Unions including the United Auto Workers rallied behind his candidacy, spending $52 million to help elect him last year, according to Washington-based OpenSecrets.org, which tracks campaign spending. In an election-night poll conducted by Peter D. Hart Research Associates, union members identified protecting pensions and Social Security and reducing health-care costs as their top goals for the new administration. "It’s going to be a very political decision," said John Casesa, who follows the auto industry as managing partner of Casesa Shapiro Group, a New York consulting firm. "I’m not really sure how this will go." GM’s pension system had a $20 billion shortfall as of Nov. 30, 2008, based on numbers the company provided the PBGC, said Jeffrey Speicher, a PBGC spokesman. By law, the agency would be able to make up only $4 billion of that, he said. "The rest would be lost," Speicher said in an interview. GM fell 9 cents, or 4.5 percent, to $1.91 at 1:05 p.m. in New York Stock Exchange composite trading and has dropped 38 percent this year through yesterday. Current and future retirees of Chrysler LLC, the other U.S. automaker on life support, would forgo $7.1 billion, Speicher said. Chrysler’s plan is underfunded by $9.3 billion, and the agency would cover $2.2 billion, he said. Chrysler’s plan, with 250,000 members, would be the second- largest taken over by the PBGC. The biggest to date was the 120,000-member United Airlines plan, absorbed by the PBGC in 2005. The agency had an $11.2 billion deficit itself as of Dec. 31. The $16 billion that would be lost by GM workers and retirees is a "big deal," said Frank Todisco, senior pension fellow at the American Academy of Actuaries in Washington. "That’s a significant haircut on one’s benefits." The maximum amount that PBGC can pay retirees 65 or older is $54,000 a year. They would lose anything they get over that amount. Beneficiaries under 62 would be likely to lose a supplement of $15,000 to $18,000 paid by the GM plans to bring pensions up to $36,000 annually, according to the actuary with knowledge of the plans, who declined to be identified discussing potential cuts. GM declined to disclose pension benefits or discuss what might happen to them should it file for bankruptcy. "We won’t speculate on the matter," said Renee Rashid- Merem, a spokeswoman for Detroit-based GM, which has received $13.4 billion in U.S. aid and asked for as much as $16.6 billion more. Obama on March 30 gave GM until June 1 to come up with deeper cuts in debt and labor costs than proposed by Wagoner to avert bankruptcy. He gave Chrysler until May 1 to form an alliance with Italy’s Fiat SpA. "Our goal, of course, is to do everything realistic to protect workers and their pensions," said White House spokesman Bill Burton. "We expect Chrysler’s pension plans to be nearly fully funded and have ample liquidity to continue benefit payments as required," said Michael Palese, a spokesman for the Auburn Hills, Michigan-based company. Black, the former engineering executive, says he worked at GM for 34 years and for two years at Delphi Corp., the bankrupt auto-parts supplier formerly owned by the automaker. "If GM loses the pensions, it would mean 25 percent of my source of income would evaporate," said Black, who declined to say what his retirement pay is. "I would have to go back to work." Returning to work may not be an option for other GM retirees, Black said. "I’ve talked to lots of folks who would be devastated," he said. Not all companies that go bankrupt dump their pension obligations, said Speicher, the PBGC spokesman. Northwest Airlines Corp. emerged from bankruptcy in 2007 without terminating its plans, he said. GM’s plan also is in relatively better shape than others, because it’s about 87 percent-funded, according to the actuary, compared with the typical pension plan’s 60 percent to 70 percent funding. "The question of whether GM’s pension obligations are too great to allow it to operate effectively is a complicated one, and far from obvious," said Andrew Oringer, an employee- benefits lawyer at White & Case LLP in New York. "Nobody really knows" what would happen with GM pensions in a bankruptcy, said Jack Dickinson, president of an advocacy group for GM retirees called Over the Hill Car People. The "PBGC doesn’t want to touch it, they’ve got their own problems," said Dickinson, 65, who worked for 34 years in sales and management at GM. "We’re just hoping they take a hands-off approach. We depend on that money; we earned it, and it’s part of our compensation." The crisis facing pension plans for US state and municipal employees is deepening as investment losses deplete the resources of retirement funds for teachers, police officers, firefighters and other local government workers. The largest state and municipal pension plans lost 9 per cent of their value of more than $2,000bn in the first two months of this year, according to data from Northern Trust. That followed a loss of 30 per cent in 2008, equal to about $900bn. Smaller funds, which underperform the larger ones, lost more, experts say. The losses have left retirement plans about 50 per cent funded - that is, they have only half the money needed to cover commitments to 22m current and former workers, experts say. State governments typically put the funding figures closer to 60-70 per cent, although most experts use different calculations. "There is a massive national underfunding problem," said Orin Kramer, chairman of the New Jersey pension fund. Unlike company pension plans, state and municipal retirement funds have no federal guarantee fund. This has led to predictions of benefit cuts and possible federal intervention. "The federal government will get involved, without question," said Phillip Silitschanu, analyst at Aite Group, a consultancy. "They could provide federal loans, or demand cutbacks as a condition of stimulus money, or there could be a federalisation of some of these pensions." Without investment income, funds are liquidating assets at huge losses to pay pensions. Police pensions are in especially poor shape, in part because states have promised earlier retirement on full pensions, but seldom increased contributions. The collapse in value of US state and local government pension plans is a disastrous double blow for them: they are being forced to sell off assets at huge discounts to pay out pensions, and are at the same time seeing their funding levels plummet to dangerous new lows. In the past year the funds, whose collective $2,000bn-plus in assets make them key investors in every asset class, have lost about 40 per cent of their value through investment losses. The 2,600 pension plans provide retirement savings for 22m public employees in towns and cities across the US, and range in size from the giant Calpers, with $120bn (€91bn, £81bn) in assets, to tiny small town funds which pay pensions for local garbage collectors and police. Phillip Silitschanu, a senior analyst at Aite Group, a consultancy, says the pensions “could face a cash flow collapse, they are liquidating assets to meet their monthly cash flow needs instead of selling positions that are down 10 per cent, they are being forced to liquidate positions down 40 per cent. It is a firesale liquidation of assets to have the cash on hand to meet obligations”. Bill Atwood, the executive director of the Illinois State Board of Investments, says: “Right now it’s very bad. For the full year 2009 (ending in June) we will have $270m negative cash flow on $8.5bn in assets.” State pension benefits are protected by law, and must be paid even if the fund is making a loss. Calpers, the largest fund, has lost $70bn in value in the past eight months, but still has to pay $11bn in benefits this year. Unless the fund starts recouping its losses soon, the California state government, which is already mired in a huge deficit, will have to lift contributions to Calpers starting from next year. Bad as the cashflow crisis is, the accompanying collapse in funding levels – an issue largely outside the control of the pension managers – is considered by most in the industry to be of greater significance. US pension plans are in generally worse shape than those in Europe. They were more underfunded, meaning they did not have the money to meet future pension commitments, even before the financial crisis hit, and their losses over the past year have been greater because they had larger allocations to equities. Funding has now fallen to about 50 per cent, according to industry estimates. Mr Silitschanu said: “As terrible a predicament that everyone thought these pension funds were in three or four years ago, they are much worse now.” Like several others, he believes some form of federal intervention is likely, possibly in the form of the state governments being forced to cut benefits in order to qualify for the money they receive as part of the economic stimulus package. Hank Kim, the executive director of the National Conference on Public Employee Retirement Systems, the pension industry body, says: “I don’t think federal government involvement is a realistic possibility. “Public plan assets are down, but they are still in a very good financial situation. The issue is whether they have adequate cash flow to meet their obligations,” he argues. However, few others be-lieve the plans are in a good financial situation. Cutting benefits for new employees and raising the age of retirement are some previously unthinkable strategies being considered by state governments in an effort to contain the problem. Merging weaker funds with others is another plan. Illinois’ five state retirement systems, which are collectively only about half funded, could be merged into one fund, as could those in Arkansas. Those less than 50 per cent funded include schemes in Philadelphia; West Virginia; Pittsburgh; Providence, Rhode Island; Little Rock, Arkansas; Jersey City, Wilmington, Delaware and Atlanta. Most experts believe that the situation is even worse than these official funding figures suggest, because of the way the funds calculate returns and liabilities. Almost all funds base their funding levels on an assumption of an annual return of 8 per cent, but in the decade to 2004 the average return was only 6.5 per cent. Successive state governments have expanded pension benefits, but often failed to lift contributions. No government has wanted to cut pensions. Global shipping rates are primed for a wrenching 74 per cent plunge in 2009 as commodity demand continues to fall in Asia and the massive glut of vessels ordered during the boom years finally hits the oceans. The expected collapse in rates, which could push dozens of shipowners close to bankruptcy, follows a 92 per cent decline in the Baltic Dry Index (BDI) of shipping rates over the course of last year. The misery is expected to continue well into 2010, with a further 15 per cent drop in rates before any rebound brings relief to fleet owners. The closely-watched gauge of world trade in iron ore, coal and other bulk cargoes has fallen for 19 straight days – the same ferocity of decline that followed the collapse of Lehman Brothers and the catastrophic freezing of trade finance. The stark warning of a continuing collapse in the BDI, issued today by analysts at Nomura Securities in Hong Kong, comes despite industry predictions of multiple order cancellations by shipowners and forecasts that record numbers of vessels may be put into storage. According to the gloomiest forecasts, fleet owners may lay-up the greatest number of ships since the oil crisis of the 1970s. But these measures, however drastic, may not be enough to fight further alarming declines in freight rates. Even if 40 per cent of worldwide order books are cancelled this year, the slump in global demand and the sharp rise in Chinese inventories of iron ore and coal, say analysts, suggest that the worst is yet to come. "We expect industry fundamentals [for bulk carriers] to deteriorate further as demand continues to remain weak and the large order book begins to be delivered," wrote Nomura’s Andrew Lee in a note to clients. On container shipping, the outlook is similarly miserable: "International routes are loss-making and are likely to remain so," he said. Chinese imports of iron ore are falling because, despite Beijing's promise of massive infrastructure spending as part of the country’s vast $586 billion stimulus package, the pace of construction has slowed dramatically. Iron ore inventories loaded up along the docksides at Chinese ports are thought to have swollen by about eight million tons over the course of February, while the country’s exports of finished goods – the sort that used to fill container ships bound for the US and Europe – continue to fall. About 10 per cent of the world's 10,650 in-service container ships and bulk carriers are currently sitting empty and at anchor waiting for cargoes that are simply not emerging, said one London-based shipbroker. He added that as many as 500 ships of various types may be put into more permanent stasis to save their owners money as the recession runs its course. The waters off the coasts of Malaysia, Indonesia and the Philippines are expected to become the favoured parking lots for the world’s mothballed fleets. To meet that impending demand, the world’s largest shipping services group, Inchcape, has launched a global lay-up service to ensure that any vessels put into hibernation are able to emerge in good working order. "The decision to lay-up a ship is not an easy one for a shipowner but we are giving the market what it needs right now," said Inchcape’s Narayanan Shankar in Singapore. Japan’s balance of payment figures, released yesterday by the country’s Ministry of Finance, provided yet another grim snapshot of the drop-off in world consumer demand and troubles facing the shipping industry. Exports and imports for the world’s second-biggest economy fell by about 50 per cent in February, with much of the decline due to the collapse in the once white-hot trade movement of components and half-finished goods around Asia. Berkshire Hathaway Inc. and its subsidiaries had already been on credit watch elsewhere, but there is a very interesting credit ratings downgrade that just took place. Moody’s has stripped Warren Buffett’s Berkshire Hathaway of its it Triple-A (Aaa) rating. The new rating is ‘Aa2.’ The National Indemnity Company was cut to ‘Aa1? from ‘Aaa.’ So why is this a more interesting downgrade? Berkshire Hathaway is actually the largest shareholder of Moody’s Corp.. S&P had already put the ratings on negative credit watch. Moody’s also cut the IFS ratings of other major insurance subsidiaries down to ‘Aa1? from ‘Aaa.’ Berkshire’s Prime-1 short-term issuer rating was affirmed. The good news is that the ratings outlook for all of these entities is stable. So at least no more downgrades are slated on the immediate horizon from Moody’s. • and Government Employees Insurance Company. Bank takeovers worsened the financial crisis by making firms that were already too big even bigger, said Nouriel Roubini, the New York University professor who predicted the financial crisis. "The institutions are insolvent," Roubini said in a Bloomberg Radio interview. "You have to take them over and you have to split them up into three or four national banks, rather than having a humongous monster that is too big to fail." JPMorgan Chase & Co. agreed to buy Bear Stearns Cos. in March 2008, with help from the Federal Reserve, while Bank of America Corp. purchased Merrill Lynch & Co. Wells Fargo & Co. took control of Wachovia Corp. and PNC Financial Services Group Inc. got National City Corp.
Banks around the world have reported $1.29 trillion in credit losses tied to the housing market collapse since 2007. The deficits, which spurred the first simultaneous recessions in the U.S., Europe and Japan since World War II, pushed the American government to pledge $12.8 trillion to stabilize the banking system and revive economic growth. That figure amounts to $42,105 for every man, woman and child in the country. The Standard & Poor’s 500 Index, which tumbled 38 percent in 2008, has rallied 22 percent after sinking to a 12-year low on March 9. Roubini said in a Bloomberg interview that day that the S&P 500 is likely to drop to 600 or lower this year as the global recession intensifies. The U.S. Treasury Department is planning to delay the release of any completed bank stress test results until after the first-quarter earnings season to avoid complicating stock market reaction, a source familiar with Treasury's discussions said on Tuesday. The Treasury is still talking about how results of the regulatory stress tests on the 19 largest U.S. banks will be released, and may disclose them as summary results that are not institution-specific, the source said. The government is testing how the largest banks would fare under more adverse economic conditions than are expected in an attempt to assess the firms' capital needs. The tests are due to be completed by the end of April, but Treasury has said they may be finished before then. The source, speaking anonymously because the Treasury has not made a final decision on what to disclose, said officials do not want any test results released before the earnings season wraps up for most U.S. banks on April 24. U.S. regulators have reached the closing phase of the stress tests, with many of the top banks having already turned in their internal versions of the test to officials. Bank of America Corp. Chief Executive Kenneth Lewis said last Thursday that his bank has already completed its test. Bank regulators are at the stage of reconciling their own versions of the results with the banks' internal assessments. Officials realize it may be hard to keep the results under wraps, and they are looking for ways the banks could disclose some details without unduly disturbing the markets. They are also looking at providing some summary information about how the banks fared. There will be definitely be some information that will be provided at the end of it, but exactly what that will be, and when it will be provided, will come forth later," Comptroller of the Currency John Dugan, who supervises some of the nation's largest banks, said last week. The stress tests at the biggest banks are part of a wide-ranging effort to restore stability to a sector hit by huge mortgage-related losses. The tests are designed to determine the depth of banks' capital holes if conditions deteriorate further. After the tests are completed, the banks will have six months to either raise private capital to compensate, or accept government funds. But officials are worried about how the market will react to the stress test results if there is not a clear recovery path for a bank that is deemed to have a large capital need. The last thing Treasury wants to do is set off a panic, the source said. Treasurys ekeded out some gains Wednesday morning as concern about corporate earnings and the financial sector lifted demand for low-risk government debt. The bulk of the buying was seen overnight amid declines in Asian and European stocks after Alcoa Inc. reported a worse-than-forecast $497 million first-quarter loss. Bonds bounced off session highs in North American session as investors brace for a record $35 billion three-year Treasury note auction at 1 p.m. EDT. Traders said the movement in bond markets also reflected light trading this week due to the Passover, Good Friday and Easter holidays. The bond market will close early Thursday afternoon and will remain shut Friday. In recent trading, the two-year note's price was up 2/32 at 99 30/32 to yield 0.9%, while the 10-year note was up 6/32 at 98 27/32 to yield 2.89%. The 30-year bond was up 11/32 to 96 7/32 to yield 3.71%. Bond yields move inversely to prices. Market participants noted that bond yields are likely to be capped within a narrow range as the bond market continues to be pushed around by two opposite forces. Rising supply puts upward pressure on bond yields but worries about banks, corporate earnings and weak stocks, coupled with the Federal Reserve's bond purchases, support bond prices and weigh down yields. "The market continues to try to find an equilibrium between two opposite forces here which will keep yields within the range," said Ralph Manigat, fixed-income analyst with 4Cast in New York. The 10-year note's yield has been kept between a range of 2.5% to 3% over the past few weeks, though the yield has bounced toward the upper band of the range over the past few sessions and headed toward 3%, a key psychological level for market participants. The Fed is scheduled to conduct a round of Treasury buying mid-morning Wednesday, targeting short-term maturities ranging from April 2010 to February 2011. Since launching the buying on March 25, the Fed has bought $33.6 billion government securities. The central bank aims to buy up to $300 billion Treasurys over next six months as a way to lower mortgage rates and revive consumer and business lending. There is no major U.S. data release Wednesday. The Fed is set to release the minutes for its last monetary policy meeting last month when it decided to buy Treasurys as part of the so-called quantitative easing to aid credit markets and the economy. The minutes "at least should clarify the Fed's thinking" about the expansion of QE to include Treasuries after having distanced themselves from such an idea, said David Ader, head of U.S. government bond strategy at RBS Securities Inc in Greenwich, Connecticut. "We'd love to hear how they are determining what to buy -- little obvious logic heretofore -- but doubt that will be discussed in the minutes," said Mr. Ader. "In short, we may get more of an 'ah' than an 'ooh' to make the subtle distinction." The three-year note auction is the second leg of the government's $59 billion note sales this week. The Treasury Department auctioned off $6 billion reopening of a 10-year Treasury inflation-protected security. The final leg of auction, an $18 billion reopening of the 10-year note, is scheduled Thursday. Richard Fisher, president of the Dallas Federal Reserve Bank, said Wednesday the first "green shoots" of recovery can be seen in the U.S. economy as steps taken by the Federal Reserve Board and other U.S. authorities begin to take effect. Speaking on a panel in Tokyo sponsored by the Japan Center for Economic Research, the Institute for International Monetary Affairs and the Japanese Bankers Association, Fisher said no one can accuse the Fed of being slow to react to the crisis. It was the magnitude of authorities' activism, rather than the speed, that had unsettled some in the markets. "Whether those (steps) were sufficient or not, it's too early to tell," he said, but, he added, "we're beginning to see some healthy signs." The downgrade to the forecast led the Fed to announce that it would dramatically increase its purchases of assets and start buying Treasuries for the first time in the hope that this would support growth, the minutes show. They also reveal considerable disagreement within the Fed as to how robust an eventual recovery is likely to be. Some officials “believed that the natural resilience of market forces would become evident later this year.” But others “saw recovery as delayed and weak.” Some worried that the crisis would ultimately lead to a reduction in the potential growth rate of the US economy. Fed policymakers agreed with the staff analysis. “Nearly all meeting participants said that conditions had deteriorated relative to their expectations,” the minutes say. Several worried that inflation “was likely to persist below desirable levels” – although they did not specifically refer to the danger of deflation, or falling prices. Fed officials expressed concern about the “degree and pervasiveness of the decline in foreign economic activity” since their last meeting in January, which threatened US exports. As of March 18 the US central bank appeared highly sceptical of the notion that some positive surprises in the US data added up to evidence that a recovery was in the making. “Participants did not interpret the uptick in housing starts in February as the beginning of a new trend,” the minutes say. While some thought starts could not have too much further to fall, Fed officials reasoned that the overhang of unsold homes would continue to weigh on residential investment. Taking inspiration from a landmark 1970s tax revolt, a determined group of activists say the moment is right for another voter uprising in California, where recession-battered residents have been hit with the highest income and sales tax rates in the nation. And like Proposition 13, the 1978 ballot measure that transformed the state's political landscape and ignited tax-reform movements nationwide, they see the next backlash coming not from either major political party, but from the people. If the anti-tax crusaders can galvanize voter discontent, they hope to roll back the latest tax hikes, impose permanent, iron-clad spending caps on Sacramento lawmakers and make the issue central in the 2010 gubernatorial election. "There's a lot of latent anger boiling to the surface out there," said Jon Coupal, president of the Howard Jarvis Taxpayers Association, a group named after the California anti-tax crusader who spearheaded Prop 13. An angry mob of thousands converged on an Orange County parking lot in southern California on a recent Saturday morning for an anti-tax protest, stunning even the organizers with the size of the turnout. It was just one in a series of public demonstrations that have cropped up around the state. Talk of a brewing tax revolt has been largely ignored by the mainstream media, and many political analysts are skeptical, though they concede that the taxpayer mutiny that led to the landmark Prop 13 was similarly dismissed by political professionals. That referendum passed in a landslide despite furious opposition from the political establishment -- and highlighted the possibilities for grassroots campaigners to enact measures with ballot initiatives and bypass the legislature. It slashed property tax rates by 57 percent, capped future collections and required any new tax hikes to be approved by a two-thirds majority in both houses of the state legislature. "There's no way to predict whether we're going to see a reprise of the revolt that led to Prop 13 or whether this is a false start," said Dan Schnur, director of the Jesse Unruh Institute of Politics at USC and a onetime adviser to presidential candidate Sen. John McCain. "But the economic conditions are ripe for tax revolt, and advances in technology certainly make it easier to organize a coalition without access to huge amounts of money." Those conditions include a heavy tax burden that is growing heavier plus a worsening economy. California already had the highest income tax rates of any state in the country when the legislature raised them in February to help close a $42 billion deficit that also required deep spending cuts and additional borrowing. The state's top income tax rate is now 10.425 percent, which is 1.5 percentage points higher than second-place Rhode Island and rises to 10.55 percent if certain economic triggers are hit. Most U.S. states have a top rate of less than 7 percent, and seven collect no income tax at all. California lawmakers also boosted the state's sales tax to 8.25 percent, nearly doubled the vehicle license fee and sharply reduced the tax credit for dependents. Though Prop 13 has become sacrosanct in California politics, it has its critics, who blame it for forcing the state to rely too heavily on sales and income taxes and limiting a critical funding source for public schools. The state, which was hard hit by the subprime mortgage crisis, faces sharply declining revenues and an unemployment rate over 10 percent. "I certainly don't want my taxes raised but one thing I do recognize is that we are in the middle of a financial meltdown," California Assembly Speaker Karen Bass, a Democrat, told Reuters in an interview. "We have a constitutional obligation to balance the budget so we had no choice" but to raise taxes, Bass said. "Unfortunately when you fan the flames you can lead to things like a revolt but I'm certainly hoping it doesn't deteriorate to that." Analysts also say the anti-tax revolutionaries would be met with fierce opposition from California's public employee unions, a powerful political force with considerably more money and unmatched influence over the Democrat-led legislature. But the activists are undaunted by doubters within the establishment. "Every chamber of commerce, every editorial board, every labor group, every tax-receiver group, everybody opposed Prop 13 except the voters," Coupal told Reuters. "That reflects a massive disconnect between the real people and the political elite, and that disconnect is right now as great as I've ever seen it." The first test of anti-tax crusaders' influence could come in a May 19 special election with voting on Proposition 1A, which is backed by California Governor Arnold Schwarzenegger and Democratic leaders and would extend the tax increases in exchange for a new cap on spending. At the Orange County anti-tax rally, sponsored by two radio talk show hosts, voters' resentment erupted as they chanted slogans, waved placards and demanded action in the state capital Sacramento. "There was a huge amount of anger," said John Kobylt, talk show host on KFI-AM 640. "It was visceral. You could feel it. You could almost touch it. It was almost frightening to be out there. It was a tremendous expression of hatred over what's going on." Did the meeting of the Group of 20 in London last week put the world economy on the path of sustainable recovery? The answer is no. Such meetings cannot resolve fundamental disagreements over what has gone wrong and how to put it right. As a result, the world is on a path towards an unsustainable recovery, as I argued last week. An unsustainable recovery might be better than none, but it is not good enough. This summit had two achievements: one broad and one specific. First, "to jaw-jaw is better than war-war", as Winston Churchill remarked. Given the intensity of the anger and fear loose upon the world, discussion itself must be good. Second, the G20 decided to treble resources available to the International Monetary Fund, to $750bn, and to support a $250bn allocation of special drawing rights (SDRs) – the IMF’s reserve asset. If implemented, these decisions should help the worst-hit emerging economies through the crisis. They also mark a return to a big debate: the workings of the international monetary system. This is the point at which the eyes of countless readers will glaze over. It is easier for most to believe that the explanation for the crisis is solely the deregulation and misregulation of the financial systems of the US, UK and a few other countries. Yet, given the scale of the world’s macroeconomic imbalances, it is far from obvious that higher regulatory standards alone would have saved the world. This is not just a matter of historical interest. It is also relevant to the sustainability of the recovery. Fiscal deficits are now generally far bigger in countries with structural current account deficits than in those with current account surpluses. This is because the latter can import a substantial part of the stimulus introduced by the former. The Organisation for Economic Co-operation and Development forecasts a jump in US public debt of almost 40 per cent of gross domestic product over three years (see chart). It is quite likely, therefore, that the next crisis will be triggered by what markets see as excessive fiscal debt in countries with large structural current account deficits, notably the US. If so, that could prove a critical moment for the international economic system. Intriguingly, the country raising these big questions is China. This is, no doubt, for self-serving reasons: China is worried about the value of its foreign currency reserves, most of which are denominated in US dollars; it wants to relieve itself of blame for the crisis; it wishes to preserve as much of its development model as possible; and it is, I suspect, seeking to countervail US pressure on the exchange rate of the renminbi. Wen Jiabao, the Chinese prime minister, has noted his country’s concern over the value of its vast reserves. At close to $2,000bn, these are almost half of 2008 GDP. Imagine what Americans would say if their government had invested about $7,000bn (the equivalent relative to US GDP) in the liabilities of not altogether friendly governments. The Chinese government is beginning to realise its mistake – too late, alas. Meanwhile, Governor Zhou Xiaochuan of the People’s Bank of China has produced a remarkable series of speeches and papers on the global financial system, global imbalances and reform of the international monetary system. These are both a statement of the Chinese point of view and a contribution to global debate. One may not agree with all he is saying. Yet the fact that he is speaking out is itself significant. Governor Zhou argues that the high savings rate of China and other east Asian countries is a reflection of tradition, culture, family structure, demography and the stage of economic development. Furthermore, he adds, they "cannot be adjusted simply by changing the nominal exchange rate". In addition, he insists, "the high savings ratio and large foreign reserves in the east Asian countries are a result of defensive reactions against predatory speculation", particularly during the Asian financial crisis of 1997-98. None of this can be changed swiftly, insists the governor: "Although the US cannot sustain the growth pattern of high consumption and low savings, it is not the right time to raise its saving ratio at this very moment." In other words, give us US frugality, but not yet. Meanwhile, adds the governor, the Chinese government has produced one of the largest stimulus programmes in the world. Moreover, the vast accumulations of foreign currency reserves, up by $5,400bn between January 1999 and their peak in July 2008 (see chart), reflect the emerging economies’ demand for safety. But since the US dollar is the world’s main reserve asset, the world depends on US monetary emissions. Moreover, the US tends to run current account deficits, for this reason. The result has been a re-emergence of a weakness discussed in the twilight years of the Bretton Woods system of fixed exchange rates, which broke down in the early 1970s: over-issuance of the key currency. The long-term answer, he adds, is a "super-sovereign reserve currency". It is easy to object to many of these arguments. Much of the extraordinary increase in China’s aggregate savings is the result of rising corporate profits (see chart). It would surely be possible to tax and then spend a part of these huge corporate savings. The government could also borrow more: at the 3.6 per cent of GDP forecast by the IMF this year, its deficit remains decidedly modest. It is also hard to believe that a country such as China should be saving half of its GDP or running current account surpluses of close to 10 per cent of GDP. Similarly, while the international monetary system is indeed defective, this is hardly the sole reason for the world’s vast accumulations of foreign currency reserves. Another is over-reliance on export-led growth. Nevertheless, Governor Zhou is correct that part of the long-term solution of the crisis is a system of reserve creation which allows emerging economies to run current account deficits safely. Issuance of SDRs is a way of achieving this goal, without changing the fundamental character of the global system. China is seeking to engage the US. That is itself enormously important. However self-seeking its motivation, that is a necessary condition for serious discussion of global reforms. Yet China must also understand an essential point: the world cannot safely absorb the current account surpluses it is likely to generate under its current development path. A country as large as China cannot hope to rely on such large current account surpluses as a source of demand. Spending at home must still rise sharply and sustainably, relative to growth of potential output. It is as simple – and difficult – as that. When Robert Applebaum graduated from Fordham Law in 1998, he took the public-interest job near to his heart: assistant district attorney in Brooklyn, N.Y., at a salary of $36,000 – despite law-school debt of $75,000. He took five years of forbearance on the loan. Bad move. Mr. Applebaum’s indebtedness today stands at $96,000, even though he fled the job he loved for the higher-paying private sector in 2003. "It’s like having a mortgage, but without the house," he says of monthly payments just under $500. At that rate, the debt won’t be fully paid for two decades. Student debt in the United States has surged in recent decades, with outstanding federal student debt now topping $500 billion. The share of young adults carrying some educational debt has almost tripled since 1983, according to economist Ngina Chiteji. At the same time, defaults are on the rise. Between 2006 and 2007, the proportion of borrowers who were supposed to enter repayment for the first time and who instead defaulted went up – from 5.2 percent to 6.9 percent, according to a Department of Education report last month. That percentage is the highest in more than a decade. And the 2008 and 2009 default rates are likely to be much higher. Some help is on the way. Sallie Mae, America’s largest lender to college students, announced last month a loan type that students start paying while still in college. The early jump on interest payments means that balances can be paid off an average of nine years earlier, with a savings of 40 percent over the life of the loan, the company says. Some provisions of a 2007 education law set to take effect this summer will also reduce interest rates on some federal loans and place others on income-based repayment plans. President Obama’s budget, meanwhile, proposes to expand federal loan programs and tax breaks. Applebaum and others, however, are pushing the government to go further, advocating student debt forgiveness. But they face an uphill climb. Historically, Washington hasn’t taken up their cause, and many economists don’t see it their way, either. "I’m sure that all people wish they did not have to borrow to go to college," says Dr. Chiteji of Skidmore College in Saratoga Springs, N.Y., who has studied indebtedness among the young. "We’d all like the things we want to be free to us…. [But] the costs of college have to be borne by someone in society, and there’s a strong economic argument for having that ‘someone’ be the student." Most young-adult debt profiles haven’t yet reached horror-story status. In fact, young people’s overall indebtedness as a proportion of income has not changed much since the 1960s, according to Chiteji’s research. There is an important difference between then and now, though. Mortgage debt used to be virtually the only major debt held by young people. Now, their debt load is much heavier on schooling. And student debt can be extremely difficult to discharge, even in bankruptcy court. That’s partly because of a crackdown on defaults following a record default rate of 22.4 percent during the 1990-91 recession. The difficulty of discharging student loans is one reason that Applebaum has launched his efforts. If student debt is forgiven, he argues, the economy will be stimulated. That would free a great many people to buy homes and cars, he says. Applebaum is building a student-debt advocacy organization, and in January, he started the Facebook group "Cancel Student Debt to Stimulate the Economy," which has mushroomed to 160,000 members as of early April. Now, more than a few members of Applebaum’s Facebook group are wrestling with the question: How much is a good education – especially a private, liberal-arts education – really worth? In 2004, Brian Kraus graduated from Cornell College in Mount Vernon, Iowa, with a double major in business and economics and sports management – and with $50,000 of mostly private student debt. Now, he’s a customer-support manager at a Denver telecommunications firm, and he’s making monthly loan payments of just over $500. In a few years, on his payment plan, he expects the amount he owes each month to rise near $1,000. "I signed for [the loans] and I believe in paying them, and I will do so until I can’t do it anymore," says Mr. Kraus. He realizes that, in a tough economy, many won’t sympathize. But, he says, "If our debts were paid – and I do believe they need to be paid rather than just forgiven, or else we are causing more issues for the loan companies – then think about the amount of money that could be directly infused into the economy." AIG’s aircraft-leasing unit is in talks over a $5bn credit line from the Federal Reserve that could be used to facilitate its sale – an unusual move that would raise the stakes in the US government’s bail-out of the stricken insurer. People close to the situation said discussions between International Lease Finance Corp, AIG and the New York Fed were still ongoing and no decision on whether the facility would be provided, and how big it would be, had yet been taken. ILFC, a profitable company and a top customer to both Boeing and Airbus, is in advanced talks with three private equity consortia but it needs extra liquidity because AIG’s collapse has choked off many of its traditional sources of funds. A bitter downturn in demand for air travel has made the task of raising extra funding even more daunting. People close to the situation said the credit line from the Fed would come from the billions of dollars worth of loans the monetary authorities have already extended to AIG. But even if ILFC’s credit facility comes from existing resources, the Fed’s involvement in the sale of an AIG subsidiary could deepen criticism of the authorities’ role in the insurer’s rescue. The New York Fed declined to comment. AIG, with the Fed’s blessing, has pledged to support ILFC until its separation from the insurer. But the company’s efforts to raise several billion dollars through a new credit facility have met with tepid demand from European banks and other traditional sources of aviation finance, people familiar with the matter said. AIG said ILFC’s fundraising efforts were "making normal progress given the tough market conditions", and declined to comment further. ILFC is in advanced talks with several consortia of potential buyers that include Carlyle Group, Thomas H. Lee Partners and Greenbriar Equity Group. But without reassurances that ILFC’s short-term financing needs could be met, it may be unlikely any of the bidders would be willing to take on such a capital-intensive business. ILFC has ordered 168 new aircraft worth $16.7bn from Boeing and Airbus. The aeroplanes are scheduled to be bought during the next 10 years, with 49 of them – worth about $3bn – set to be delivered this year. General Motors Corp., facing a potential June 1 bankruptcy without new debt cuts, is meeting this week and next with a team from the U.S. Treasury to craft a revised plan to save the company. The meetings are led for the Treasury by Harry J. Wilson, a former partner in Silver Point Capital LP, and about 14 other people including advisers from Boston Consulting Group and Rothschild Group, said Josh Earnest, a White House deputy press secretary. GM and the department’s team will work to speed existing cuts and identify new savings, Earnest said today. "It underscores that they are trying to find an alternative to bankruptcy even if that’s difficult to achieve," said John Casesa, managing partner of Casesa Shapiro Group in New York and former auto analyst at Merrill Lynch. "It’s a sign of the sincerity of the process, at least." GM Chief Executive Officer Fritz Henderson, who took over last week after President Barack Obama asked Rick Wagoner to step down as CEO and chairman, has said he’s racing to get an agreement with bondholders, unions and others to avoid a government-ordered bankruptcy. If he can’t reach an accord, GM has said it will accept a U.S.-led filing for court protection. The Obama group also includes Xavier Mosquet, senior partner and managing director of Boston Consulting’s Detroit office, and people from fields such as fashion who are studying alternative ways for GM to run its business, said a person briefed on the meetings. A Boston Consulting spokesman confirmed its role in the gatherings and wouldn’t discuss details. "GM and the task force remain engaged in discussions relative to GM’s restructuring actions, but we won’t comment on specific meetings or details of the ongoing discussions," said Renee Rashid-Merem, a spokeswoman for the Detroit-based company. GM fell 7 cents, or 3.5 percent, to $1.93 at 4:15 p.m. in New York Stock Exchange composite trading. The shares have declined 40 percent this year. Susan Docherty, GM vice president for Buick, Pontiac and GMC in North America, said in an interview at the New York auto show that executives at her level are getting "really good, thoughtful questions" daily from the Treasury team as they try to understand the company’s operations. The automaker also is speeding up preparations for a possible bankruptcy filing even as directors and executives try to avoid that, people familiar with the plans said two days ago. GM would focus on forming a new company from its best assets if court protection is needed, the people said. Efforts to set a new cost-cut goal center on how to go beyond a proposal to slash debt by 46 percent and shed 47,000 jobs in 2009, the people said. The moves are a response to Obama’s March 30 rejection of GM’s plan for keeping $13.4 billion in federal loans. With bondholders and the United Auto Workers balking at concessions, a push for more savings makes bankruptcy more "probable," Henderson said. GM’s board met April 4 and April 5, and more discussions are planned inside the company and with the Obama administration after the biggest U.S. automaker was given 60 days to revamp itself without a specific savings target, the people said. The meetings today are part of those plans. Preparations for a court filing were ratcheted up in February as a precaution against a defeat for GM’s bid to keep its U.S. loans, the people said. GM said it prefers to restructure outside bankruptcy court. The company has had losses of $82 billion since 2004. The preparations include looking at a so-called 363 sale, a reference to a section of the Chapter 11 bankruptcy code that would help create a new automaker from the assets and brands of GM, boosting the company’s survival chances, the people said. GM has $62 billion in debt, and its Feb. 17 presentation to Treasury envisioned shrinking that sum to $33.5 billion by trimming obligations to a union-retiree health fund and getting bondholders to accept less in an equity swap. Until new savings requirements are set, substantive talks with the UAW and bondholders may be delayed, the people said. "There’s a lot at stake here, not just economically but politically," Casesa said. "Politically, they would probably like to avoid a bankruptcy." Not much substantive news was expected to come out of the G-20 meetings that ended on April 2 in London – certainly no good news was even suggested. Europe, China and the United States had too deeply distinct interests. American diplomats wanted to lock foreign countries into further dependency on paper dollars. The rest of the world sought a way to avoid giving up real output and ownership of their resources and enterprises for yet more hot-potato dollars. In such cases one expects a parade of smiling faces and statements of mutual respect for each others’ position – so much respect that they have agreed to set up a "study group" or two to kick the diplomatic ball down the road. The least irrelevant news was not good at all: The attendees agreed to quadruple IMF funding to $1 trillion. Anything that bolsters IMF authority cannot be good for countries forced to submit to its austerity plans. They are designed to squeeze out more money to pay the world’s most predatory creditors. So in practice this G-20 agreement means that the world’s leading governments are responding to today’s financial crisis with "planned shrinkage" for debtors – a 10 per cent cut in wage payments in hapless Latvia, Hungary put on rations, and permanent debt peonage for Iceland for starters. This is quite a contrast with the United States, which is responding to the downturn with a giant Keynesian deficit spending program, despite its glaringly unpayable $4 trillion debt to foreign central banks. In Ukraine, a physical fight broke out in Parliament when the Party of Regions blocked an agreement with the IMF calling for government budget cutbacks. And rightly so! The IMF’s operating philosophy is the destructive (indeed, toxic) belief that imposing a deeper depression with more unemployment will reduce wage levels and living standards by enough to pay debts already at unsustainable levels, thanks to the kleptocracy’s tax "avoidance" and capital flight. The IMF trillion-dollar bailout is actually for these large international banks, so that they will be able to take their money and run. The problem is all being blamed on labor. That is the neo-Malthusian spirit of today’s neoliberalism. The main beneficiaries of IMF lending to Latvia, for example, have been the Swedish banks that have spent the last decade funding that country’s real estate bubble while doing nothing to help develop an industrial potential. Latvia has paid for its imports by exporting its male labor of prime working age, acting as a vehicle for Russian capital flight – and borrowing mortgage purchase-money in foreign currency. To pay these debts rather than default, Latvia will have to lower wages in its public sector by 10 per cent -- and this with an economy already depressed and that the government expects to shrink by 12 percent this year! To save the banks from losing on their toxic mortgages, the IMF is bailing them out, and directing the Latvian government to squeeze labor all the more – and to charge for education rather than providing it freely. The idea is for families to take a lifetime of debt not only to live inside rather than on the sidewalk, but to get an education. Alcoholism rates are rising, as they did in Russia under similar circumstances in Yeltsin’s "Harvard Boys" kleptocracy after 1996. The insolvency problem of the post-Soviet economies is not entirely the IMF’s fault, to be sure. The European Community deserves a great deal of blame. Instead of viewing the post-Soviet economies as wards to be brought up to speed with Western Europe, the last thing the EU wanted was to develop potential rivals. It wanted customers – not only for its exports, but most of all for its loans. The Baltic States passed into the Scandinavian sphere, while Austrian banks carved out financial spheres of influence in Hungary (and lost their shirt on real estate loans, much as the Habsburgs and Rothschilds did in times past). Iceland was neoliberalized, largely in ripoffs organized by German banks and British financial sharpies. In fact, Iceland ( where I’m writing these lines) looks like a controlled experiment – a very cruel one – as to how deeply an economy can be "financialized" and how long its population will submit voluntarily to predatory financial behavior. If the attack were military, it would spur a more alert response. The trick is to keep the population from understanding the financial dynamics at work and the underlying fraudulent character of the debts with which it has been saddled – with the complicit aid of its own local oligarchy. In today’s world, the easiest way to obtain wealth by old-fashioned "primitive accumulation" is by financial manipulation. This is the essence of the Washington Consensus that the G-20 support, using the IMF in its usual role as enforcer. The G-20’s announcement continues the U.S. Treasury and Federal Reserve bank bailout over the past half-year. In a nutshell, the solution to a debt crisis is to be yet more debt. If debtors can’t pay out of what they are able to earn, lend them enough to keep current on their carrying charges. Collateralize this with their property, their public domain, their political autonomy – their democracy itself. The aim is to keep the debt overhead in place. This can be done only by keeping the volume of debts growing exponentially as they accrue interest, which is added onto the loan. This is the "magic of compound interest." It is what turns entire economies into Ponzi schemes (or Madoff schemes as they are now called). This is "equilibrium", neoliberal style. In addition to paying an exorbitant basic interest rate, homeowners must pay a special 18 per cent indexation charge on their debts to reflect the inflation rate (the consumer price index) so that creditors will not lose the purchasing power over consumer goods. Labor’s wages are not indexed, so defaults are spreading and the country is being torn apart with bankruptcy, causing the highest unemployment rate since the Great Depression. The IMF approves, announcing that it can find no reason why homeowners cannot bear this burden! Meanwhile, democracy is being torn apart by a financial oligarchy, whose interests have become increasingly cosmopolitan, looking at the economy as prey to be looted. A new term is emerging: "codfish republic" (known further south as banana republics). Many of Iceland’s billionaires these days are choosing to join their Russian counterparts living in London – and the Russian gangsters are reciprocating by visiting Iceland even in the dead of winter, ostensibly merely to enjoy its warm volcanic Blue Lagoon, or so the press is told. The alternative is for debtor countries to suffer the same kind of economic sanctions as Iran, Cuba and pre-invasion Iraq. Perhaps soon there will be enough such economies to establish a common trading area among themselves, possibly along with Venezuela, Colombia and Brazil. But as far as the G-20 is concerned, aid to Iceland and "doing the right thing" is simply a bargaining chip in the international diplomatic game. Russia offered $4 billion aid to Iceland, but retracted it – presumably when Britain gave it a plum as a tradeoff. The IMF’s $1 trillion won’t help the post-Soviet and Third World debtor countries pay their foreign debts, especially their real estate mortgages denominated in foreign currency. This practice has violated the First Law of national fiscal prudence: Only permit debts to be taken on that are in the same currency as the income that is expected to be earned to pay them off. If central bankers really sought to protect currency stability, they would insist on this rule. Instead, they act as shills for the international banks, as disloyal to the actual economic welfare of their countries as expatriate oligarchs. If you are going to recommend more of this consensus, then the only way to sell it is to do what British Prime Minister Gordon Brown did at the meetings: announce that "The Washington Consensus is dead." (He might have saved matters by saying "deadly," but used the adjective instead of the adverb.) But the G-20’s IMF bailout belies this claim. As Turkey was closing out its loan last year, the IMF faced a world with no customers. Nobody wanted to submit to its destructive "conditionalities," anti-labor policies designed to shrink the domestic market in the false assumption that this "frees" more output for export rather than being consumed at home. In reality, the effect of austerity is to discourage domestic investment, and hence employment. Economies submitting to the IMF’s "Washington Consensus" become more and more dependent on their foreign creditors and suppliers. The United States and Britain would never follow such conditionalities. That is why the United States has not permitted an IMF advisory team to write up its prescription for U.S. "stability." The Washington Consensus is only for export. ("Do as we say, not as we do.") Mr. Obama’s stimulus program is Keynesian, not an austerity plan, despite the fact that the United States is the world’s largest debtor. Here’s why the situation is unsustainable. What has enabled the Baltics and other post-Soviet countries to cover the foreign-exchange costs of their trade dependency and capital flight has been their real estate bubble. The neoliberal idea of financial "equilibrium" has been to watch "market forces" shorten lifespans, demolish what industrial potential they had, increase emigration and disease, and run up an enormous foreign debt with no visible way of earning the money to pay it off. This real estate bubble credit was extractive and parasitic, not productive. Yet the World Bank applauds the Baltics as a success story, ranking them near the top of nations in terms of "ease of doing business." 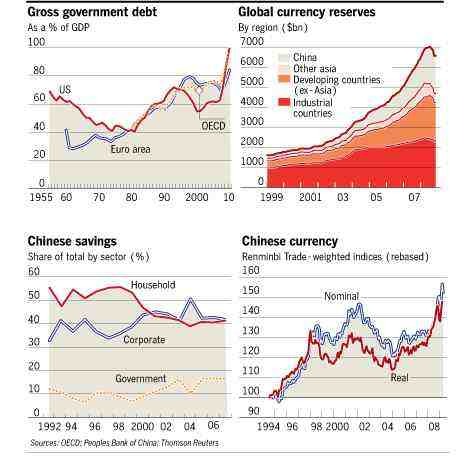 One practical fact trumps all the junk economics at work from the IMF and G-20: Debts that can’t be paid, won’t be. Adam Smith observed in The Wealth of Nations that no government in history had ever repaid its national debt. Today, the same may be said of the public sector as well. This poses a problem of just how these debtor countries are not going to pay their foreign and domestic debts. How will they frame and politicize their non-payment? Creditors know that these debts can’t be paid. (I say this as former balance-of-payments analyst of Third World debt for nearly fifty years, from Chase Manhattan in the 1960s through the United Nations Institute for Training and Research [UNITAR] in the 1970s, to Scudder Stevens & Clark in 1990, where I started the first Third World sovereign debt fund.) From the creditor’s vantage point, knowing that the Great Neoliberal Bubble is over, the trick is to deter debtor countries from acting to resolve its collapse in a way that benefits themselves. The aim is to take as much as possible – and to get the IMF and central banks to bail out the poisonous banks that have loaded these countries down with toxic debt. Grab what you can while the grabbing is good. And demand that debtors do what Latin American and other third World countries have been doing since the 1980s: sell off their public domain and public enterprises at distress prices. That way, the international banks not only will get paid, they will get new business lending to the buyers of the assets being privatized – on the usual highly debt-leveraged terms! The preferred tactic do deter debtor countries from acting in their self-interest is to pound on the old morality, "A debt is a debt, and must be paid." That is what Herbert Hoover said of the Inter-Ally debts owed by Britain, France and other allies of the United States in World War I. These debts led to the Great Depression. "We loaned them the money, didn’t we?" he said curtly. Let’s look more closely at the moral argument. Living in New York, I find an excellent model in that state’s Law of Fraudulent Conveyance. Enacted when the state was still a colony, it was enacted in response British speculators making loans to upstate farmers, and demanding payment just before the harvest was in, when the debtors could not pay. The sharpies then foreclosed, getting the land on the cheap. So New York’s Fraudulent Conveyance law responded by establishing the legal principle that if a creditor makes a loan without having a clear and reasonable understanding of how the debtor can repay the money in the normal course of doing business, the loan is deemed to be predatory and therefore null and void. Just like the post-Soviet economies, Iceland was sold a neoliberal bill of goods: a self-destructive Junk Economics. Just how moral a responsibility – and perhaps even more important, how large a legal liability –should fall on the IMF and World Bank, the U.S. Treasury and Bank of England whose economies and banks benefited from this toxic Washington Consensus junk economics? For me, the moral principle is that no country should be subjected to debt peonage. That is the opposite of democratic self-determination, after all – and of Enlightenment moral philosophy that economic policies should encourage economic growth, not shrinkage. They should promote greater economic equality, not polarization between wealthy creditors and impoverished debtors. At issue is just what a "free market" is. It’s supposed to be one of choice. Indebted countries lose discretionary choice over their economic future. Their economic surplus is pledged abroad as financial tribute. Without the overhead costs of a military occupation, they are relinquishing their policy making from democratically elected political representatives to bureaucratic financial managers, often foreign – the new Central Planners in today’s neoliberal world. The best they can do, knowing the game is over, is to hope that the other side doesn’t realize it – and to do everything you can to confuse debtor countries while extracting as much as they can as fast as they can. The post-Soviet economies as well as Latin America must be watching attentively the path that Korea is clearing through international courts. The nightmare of international bankers is that these countries may bring the equivalent of a class action suit against the international diplomatic coercion mounted against these countries to lead them down the path of financial and economic suicide. "The Seoul Central District Court justified its decision [to admit the lawsuit] on the kind of logic that would apply in the United States to a lawsuit involving an unsophisticated individual investor and a fast-taking broker. The court pointed to questions of whether the contract was a suitable investment for the company, and to whether the risks were fully disclosed. The judgment also referred to the legal concept of "changed circumstances," concluding that the parties had expected the exchange rate to remain stable, that the change in circumstances was unforeseeable and that the losses would be too great for the company to bear." As a second cause of action, Korea is claiming that the banks provided creditor for other financial institutions to bet against the very contracts the banks were selling Korea to "protect" its interests. So the banks knew that what they were selling was a time bomb, and therefore seem guilty of conflict of interest. Banks claim that they merely were selling goods with no warranty to "informed individuals." But the Korean parties in question were no more informed than were Iceland’s debtors. If a bank seeks to mislead and does not provide full disclosure, its victim cannot be said to be "informed." The proper English word is misinformed (viz. disinformation). Speaking of disinformation, an important issue concerns the extent to which the big international banks may have conspired with domestic bankers and corporate managers to loot their companies. This is what corporate raiders have done for their junk-bond holders since the high tide of Drexel Burnham and Michael Milken in the 1980s. This would make the banks partners in crime. There needs to be an investigation of the lending pattern that these banks engaged in – including their aid in organizing offshore money laundering and tax evasion to their customers. No wonder the IMF and British bankers are demanding that Iceland make up its mind in a hurry, and commit itself to pay astronomical debts without taking the time to ask just how they are to pay – and investigating the creditor banks’ overall lending pattern! Bearing the above in mind, I suppose I can tell Icelandic politicians that I have good news regarding the fate of their country’s foreign and domestic debt: No nation ever has paid its debts. As I noted above, this means that the real question is not whether or not they will be paid, but how not to pay these debts. How will the game play out – in the political sphere, in popular ideology, and in the courts at home and abroad? The question is whether Iceland will let bankruptcy tear apart its economy slowly, transferring property from debtors to creditors, from Icelandic citizens to foreigners, and from the public domain and national taxing power to the international financial class. Or, will Iceland see where the inherent mathematics of debt are leading, and draw the line? At what point will it say "We won’t pay. These debts are immoral, uneconomic and anti-democratic." Do they want to continue the fight by Enlightenment and Progressive Era social democracy, or the alternative – a lapse back into neofeudal debt peonage? This is the choice must be made. And it is largely a question of timing. That’s what the financial sector plays for – time enough to transfer as much property as it can into the hands of the banks and other investors. That’s what the IMF advises debtor countries to do – except of course for the United States as largest debtor of all. This is the underlying lawless character of today’s post-bubble debts. The U.K. economy shrank 1.5 percent in the first quarter as the recession increasingly resembled the one that started in 1979 when Margaret Thatcher took power, the National Institute of Economic and Social Research said. The drop in gross domestic product followed a 1.6 percent decline in the last three months of 2008, Niesr, whose clients include the U.K. Treasury, said in London today. Consumer confidence last month matched the lowest level in at least four years, Nationwide Building Society said in a separate report. While there are some signs the economy’s deterioration is slowing, unemployment is rising at the fastest pace in three decades, pushing Prime Minister Gordon Brown to redouble his efforts before the next election. The Bank of England will probably keep the benchmark interest rate unchanged at a three- century low of 0.5 percent in its monthly decision tomorrow. "The output fall so far is very similar to that of the recession that began in the summer of 1979," Niesr said in a statement. "If the 1980s profile were followed, output would continue to decline for up to another year and it would take two further years before the level of output enjoyed at the start of 2008 would be reached again." Niesr still said that there’s no "obvious reason" why the recession will follow the course of the one in the early 1980s. Niesr bases its estimates on official statistics for industrial production and other indicators for services, and it says the estimates of GDP have a standard error of 0.1-0.2 percentage point compared with the statistics office’s first release. Thatcher succeeded James Callaghan as U.K. prime minister in May 1979 following the so-called Winter of Discontent, when car workers, truck drivers and trash collectors went on strike. Unemployment jumped the most since 1971 in February, the government’s statistics office reported March 18. Royal Bank of Scotland Group Plc said yesterday it will cut up to 4,500 back office jobs in Britain to save money. "Feelings about the current labor market have weakened," Nationwide Chief Economist Fionnuala Early said in a statement. "Further reports of job losses are likely to have affected consumers’ views of this." Nationwide’s index of consumer confidence slipped to 41 in March, matching January’s four-year low, from 43 the previous month. Two-thirds of Britons said there are few jobs available, the mortgage lender’s survey showed. The number of permanent staff appointments by job consultants fell further in March, though at the slowest pace in six months, KPMG and the Recruitment and Employment Federation said in a separate report today. "The availability of permanent and temporary jobs in the U.K. continues to decline, salaries are being reduced and the pool of available candidates is rising further," Mike Stevens, a partner at KPMG, said in a statement. "Recovery might take longer and be more protracted than many hope." A gauge of services industries rose to a six-month high in March, a report last week showed. Nationwide reported that house prices rose for the first time in more than a year and the Bank of England said credit conditions are easing, suggesting the recession’s grip on the country may be loosening. Chancellor of the Exchequer Alistair Darling presents his next budget on April 22. Brown, whose governing Labour Party trailed the opposition by 13 percentage points in an April 6 poll, must call an election by mid-2010. Bank of England Governor Mervyn King last month took the unprecedented step of cutting interest rates close to zero and buying government bonds with newly created money to stimulate the economy. All except two of the 62 economists in a Bloomberg survey predict policy makers will keep the key rate unchanged at 0.5 percent tomorrow. "Towards the end of 2009, I expect we will see the economy stabilizing," Weale said in an interview with Bloomberg Television today. "That may mean very mild growth, that may mean a weaker contraction, but I don’t think it will be a return to boom." The Irish government may be about to become a landlord in some of the worst property markets in Europe as it tries to rescue the country’s biggest banks without having to follow the U.K. with a wave of nationalization. Finance Minister Brian Lenihan said that the new government agency announced yesterday to take over property loans from banks worth as much as 90 billion euros ($119 billion) will "work them out over time." "We don’t need any bailout here in Dublin," Lenihan said in an interview with Bloomberg Television today. "We are adaptable, we are agile." The tactic mirrors Sweden in the 1990s and governments in eastern Europe after the fall of communism in 1989. Ireland is trying to cope with the fallout from a property crash as what was once western Europe’s most dynamic economy shrinks at the fastest pace in the euro region. Since peaking in January 2007, house prices have dropped 17.7 percent, while commercial property values slumped 37.2 percent in 2008, the most on record, according to Investment Property Databank Ltd. in London. "The economy is paralyzed because of the lack of flow of credit," Foreign Minister Micheal Martin said today in comments broadcast by RTE. "Doing nothing is not an option." The plan came as part of an emergency budget unveiled late yesterday. The government raised taxes and slashed spending to narrow a swelling deficit. The Star newspaper said today the government had "crucified" taxpayers, while the Mirror, another tabloid, said "the only people laughing are bankers and builders." The Irish Independent said the plan may be "a first step in our recovery from economic disaster." The economy will shrink almost 8 percent this year and 2.9 percent in 2010, Lenihan said. That contrasts with growth averaging about 6 percent in the decade through 2007, which helped quadruple house prices. Against that backdrop, bank bad debts are surging. Dublin- based Allied Irish Banks Plc, the country’s biggest lender, is owed about 47 billion euros by developers and property investors. Irish banking shares fell today after Moody’s Investors Service downgraded the financial-strength rating on 12 Irish lenders, citing rising losses on property loans Allied Irish fell 22 percent to 1 euro as of 11.30 a.m. in Dublin, while Bank of Ireland fell 7 percent to 90 cents, paring earlier losses. The two banks have a combined market value of 1.8 billion euros. Politically, the Fianna Fail-led government is taking a risk, according to the opposition. The government "has taken a massive 90 billion-euro gamble on behalf of the taxpayer in bailing out the very property speculators and banks that dragged our economy over a cliff in the last few years," said Richard Bruton, finance spokesman for the opposition Fine Gael party. The loans will be transferred to a new National Asset Management Agency. The state expects to pay "significantly less" because of slumping land values, Lenihan said. "The government will be taking a punt on the eventual recovery of the property market, which will happen," said Alan Dukes, a government-appointed director at Anglo Irish Bank Corp. and a former finance minister. "If they take over the stuff either for free or a big markdown, they could make some money out of it in five or six years time." Ireland is shunning the route taken by the U.K. of insuring bad loans. Instead, it’s drawing on a plan deployed by the Swedes. In 1992, Sweden created an asset management company, Securum, to pool toxic loans the country’s banks accumulated after deregulation in the 1980s. Securum took over batches of credit, with the mandate of unwinding portfolios with more than 1,000 clients and those that had a book value of more than 50 billion kronor ($6.1 billion). More than half of Securum’s loans consisted of property accounts, and the company combined assets into units before winding some up or selling the holdings. In eastern Europe, governments recapitalized banks, clearing out bad loans before they were sold on the stock exchange or to foreign investors. 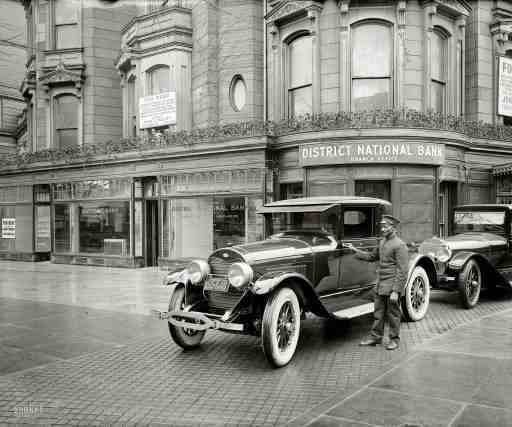 The lenders were state-owned, specializing in foreign trade, domestic savings or specific regions. They were saddled with bad debt as corporate clients struggled to adapt to competition from the west and industry collapsed. "Finally, we have a bad bank," said Emer Lang, a Dublin- based analyst at Davy, Ireland’s largest securities firm. "The government is plainly doing everything possible to avoid nationalizing the banks." Lenihan’s plan includes a possible charge to the banks in case the agency fails to recoup its costs over coming years as it takes on the property investments. The government also said it will take a stake in the banks if the "crystallization of losses" stemming from the plan means banks need extra capital. "The question of whether the banks will need extra capital depends on the size of the haircut the banks have to take," said Lang. "That’s the big question now." A cartoon in the Sunday comics shows that mustachioed fellow with monocle and top hat from the Monopoly game - "Rich Uncle Pennybags," he used to be called - standing along the roadside, destitute, holding a sign: "Will blame poor people for food." Time to move the blame to where it really belongs. That means no more coddling banks with bailout billions marked "secret." no more allowing their executives lavish bonuses and new corporate jets as if they've won the megalottery and not sent the economy down the tubes. And no more apostles of Wall Street calling the shots. Which brings us to Larry Summers. Over the weekend, the White House released financial disclosure reports revealing that Summers, director of the National Economic Council, received $5.2 million last year working for a $30 billion hedge fund. He made another $2.7 million in lecture fees, including cash from such recent beneficiaries of taxpayer generosity as Citigroup, JP Morgan and Goldman Sachs. The now defunct financial services giant Lehman Brothers handsomely purchased his pearls of wisdom, too. That imaginary conversation came to mind last week as we watched President Obama's joint press conference with British Prime Minister Gordon Brown. When a reporter asked Obama who is to blame for the financial crisis, our usually eloquent and knowledgeable President responded with a rambling and ineffectual answer. With Larry Summers guarding his inbox, it's hardly surprising he's not getting the whole story. If only someone with nothing to lose would remind the President of that old story - perhaps apocryphal but containing a powerful truth - of the Great Wall of China. Four thousand miles long and 25 feet tall. Intended to be too high to climb over, too thick to break through, and too long to go around. Yet in its first century of the wall's existence, China was successfully breached three times by invaders who didn't have to break through, climb over, or go around. They simply were waved through the gates by obliging watchmen. The Chinese knew their wall very well. It was the gatekeepers they didn't know. Shifting the blame for the financial crisis to where it belongs also means no more playacting in round after round of congressional hearings devoted more to posturing and false contrition than to truth. We need real hearings, conducted by experienced and fiercely independent counsel asking the tough questions, or an official commission with subpoena power that can generate evidence leading, if warranted, to trials and convictions - and this time Rich Uncle Pennybags shouldn't have safely tucked away in his vest pocket a "Get Out of Jail Free" card. So far, the only one in the clink is Bernie Madoff and he was "a piker" compared to the bankers who peddled toxic assets like unverified "liars' loan" mortgages as Triple-A quality goods. So says Bill Black, and he should know. During the savings and loan scandal in the 1980s, Black, who teaches economics and law at the University of Missouri, Kansas City, was the federal regulator who accused then-House Speaker Jim Wright and five US Senators, including John Glenn and John McCain, of doing favors for the S&L's in exchange for campaign contributions and other perks. They got off with a wrist slap but Black and others successfully led investigations that resulted in convictions and re-regulation of the savings and loan industry. Bill Black wrote a book about his experiences with a title that fits today as well as it did when he published it four years ago - The Best Way to Rob a Bank Is to Own One. On last Friday night's edition of Bill Moyers Journal, he said the current economic and financial meltdown is driven by fraud and banks that got away with it, in part, because of government deregulation under prior Republican and Democratic administrations. "Now we know what happens when you destroy regulation," Black said. "You get the biggest financial calamity for anybody under the age of 80." What's more, the government ignored warnings and existing legislation to stop it before the current crisis got worse. "They didn't even begin to investigate the major lenders until the market had actually collapsed, which is completely contrary to what we did successfully in the savings and loan crisis," Black said. "Even while the institutions were reporting they were the most profitable savings and loans in America, we knew they were frauds. And we were moving to close them down." "They're scared to death of a collapse. They're afraid that if they admit the truth, that many of the large banks are insolvent, they think Americans are a bunch of cowards, and that we'll run screaming to the exits... And it's foolishness, all right? "Now, it may be worse than that. You can impute more cynical motives. But I think they are sincerely just panicked about, 'We just can't let the big banks fail.' That's wrong." Black asked, "Why would we keep CEO's and CFO's and other senior officers that caused the problems? That's nuts... We're hiding the losses instead of trying to find out the real losses? Stop that... Because you need good information to make good decisions... Follow what works instead of what's failed. Start appointing people who have records of success instead of records of failure... There are lots of things we can do. Even today, as late as it is. Even though we've had a terrible start to the [Obama] administration. They could change, and they could change within weeks." He called for a 21st century version of the Pecora Commission, referring to hearings that sought the causes of the Great Depression, held during the 1930's by the US Senate Committee on Banking and Currency. Ferdinand Pecora was the committee's chief counsel and interrogator, a Sicilian émigré who was a progressive devotee of trust busting Teddy Roosevelt and a former Manhattan assistant district attorney who successfully helped shut down more than a hundred Wall Street "bucket shops" selling bogus securities and commodity futures. He was relentless in his cross-examination of financial executives, including J.P. Morgan himself. Pecora's investigation uncovered a variety of Wall Street calumnies - among them Morgan's "preferred list" of government and political insiders, including former President Coolidge and a Supreme Court justice, who were offered big discounts on stock deals. The hearings led to passage of the Securities Act of 1933 and the Securities Exchange Act of 1934. In the preface to his 1939 memoir, Wall Street under Oath, Ferdinand Pecora told the story of his investigation and described an attitude amongst the Rich Uncle Pennybags of the financial world that will sound familiar to Bill Black and those who seek out the guilty today. "That its leaders are eminently fitted to guide our nation, and that they would make a much better job of it than any other body of men, Wall Street does not for a moment doubt," Pecora wrote. "Indeed, if you now hearken to the Oracles of The Street, you will hear now and then that the money-changers have been much maligned. You will be told that a whole group of high-minded men, innocent of social or economic wrongdoing, were expelled from the temple because of the excesses of a few. You will be assured that they had nothing to do with the misfortunes that overtook the country in 1929-1933; that they were simply scapegoats, sacrificed on the altar of unreasoning public opinion to satisfy the wrath of a howling mob...."
According to Politico.com, at his March 27 White House meeting with the nation's top bankers, President Obama heard similar arguments and interrupted, saying, "Be careful how you make those statements, gentlemen. The public isn't buying that.... My administration is the only thing between you and the pitchforks." Stand aside, Mr. President, and let us prod with our pitchforks to get at the facts. This financial crisis will end. The Great Contraction of the Noughties also will come to an end. But neither the financial crisis nor the contraction of the global real economy are over yet. As regards the financial sector, we are not too far - probably less than a year - from the beginning of the end. The impact of the collapse of real economic activity and of the associated dramatic increase in defaults and insolvencies by non-financial enterprises and households on the loan book of what is left of the banking sector will begin to show up in the banks’ financial reports at the end of the summer and in the autumn. By the end of the year - early 2010 at the latest - we will know which banks will survive and which ones are headed for the scrap heap. With the resolution of the current pervasive uncertainty about the true state of the banks’ balance sheets and about their off-balance-sheet exposures, normal financial intermediation will be able to resume later in 2010. Governments everywhere are doing the best they can to delay or prevent the lifting of the veil of uncertainty and disinformation that most banks have cast over their battered balance sheets. The banking establishment and the financial establishment representing the beneficial owners of the institutions exposed to the banks as unsecured creditors - pension funds, insurance companies, other banks, foreign investors including sovereign wealth funds - have captured the key governments, their central banks, their regulators, supervisors and accounting standard setters to a degree never seen before. I used to believe this state capture took the form of cognitive capture, rather than financial capture. I still believe this to be the case for many, perhaps even most of the policy makers and officials involved, but it is becoming increasingly hard to deny the possibility that the extraordinary reluctance of our governments to force the unsecured creditors (and any remaining non-government shareholders) of the zombie banks to absorb the losses made by these banks, may be due to rather more primal forms of state capture. History teaches us that systemic financial crises are protracted affairs. A most interesting paper by Carmen M. Reinhart and Kenneth S. Rogoff, "The Aftermath of Financial Crises", using data on 10 systemic banking crises (the "big five" developed economy crises (Spain 1977, Norway 1987, Finland, 1991, Sweden, 1991, and Japan, 1992), three famous emerging market crises (the 1997–1998 Asian crisis (Hong Kong, Indonesia, Malaysia, the Philippines, and Thailand); Colombia, 1998; and Argentina 2001)), and two earlier crises (Norway 1899 and the United States 1929) reaches the following conclusions (the next paragraph paraphrases Reinhart and Rogoff). First, asset market collapses are deep and prolonged. Real housing price declines average 35 percent over six years; real equity price declines average 55 percent over a downturn of about 3.5 years. Second, the aftermath of banking crises is associated with large declines in output and employment. The unemployment rate rises an average of 7 percentage points over the down phase of the cycle which lasts on average over four years. Output falls (from peak to trough) an average of over 9 percent, but the duration of the downturn averages around 2 years. Nothing more can be expected as regards a global fiscal stimulus. Indeed, the G20 delivered nothing in this regard. It would have been preferable to maintain the overall size of the planned (or rather, expected) global fiscal stimulus but to redistribute the aggregate (about $5 trillion over 2 years, as measured by the aggregated changes in the national fiscal deficits) in accordance with national fiscal spare capacity (I believe the World Bank calls this ‘fiscal space’). This would mean a smaller fiscal stimulus for countries with weak fiscal fundamentals, including the US, Japan and the UK, and a larger fiscal stimulus for countries with strong fiscal fundamentals, including China, Germany, Brazil and, to a lesser degree, France. Furthermore, a likely consequence of the fiscal stimuli we have already seen or are about to experience is a negative impact on the medium- and long-term growth potential of the global economy. The reason is that, if fiscal solvency is to be maintained, there will have to be some combination of an increase in the tax burden and a reduction in non-interest public spending in most countries when this contraction is over. The inevitable effect of the crisis and the contraction is a higher public debt burden and therefore a larger future required primary government surplus (as a share of GDP). Almost any increase in the tax burden will hurt potential output - just the level of the path of potential output if you are a classical growth groupie, both the level and the growth rate of the path of potential output if you are an adept of the endogenous growth school. In the study of Reinhart and Rogoff cited earlier, the authors conclude that the real value of government debt tends to explode following a systemic financial crisis, rising an average of 86 percent in major post–World War II episodes. The principal cause of these public debt explosions is not the costs of "bailing out" and recapitalizing banking system. The big drivers of these public debt burden increases are rather the collapse in tax revenues that comes with deep and prolonged output contractions (the operation of the automatic stabilisers) and discretionary counter-cyclical fiscal policies. For political expediency reasons, cuts in public spending are likely to fall first on maintenance, public sector capital formation and other forms of productive public expenditure, including spending on education, health and research. Welfare spending in cash or in kind is likely to be the last to be cut. The result is again likely to be a lower level (or level and growth rate) of the path of potential output. In a number of systemically important countries, notably the US and the UK, there is a material risk of a ’sudden stop’ - an emerging-market style interruption of capital inflows to both the public and private sectors - prompted by financial market concerns about the sustainability of the fiscal-financial-monetary programmes proposed and implemented by the fiscal and monetary authorities in these countries. For both countries there is a material risk that the mind-boggling general government deficits (14% of GDP or over for the US and 12 % of GDP or over for the UK for the coming year) will either have to be monetised permanently, implying high inflation as soon as the real economy recovers, the output gap closes and the extraordinary fear-induced liquidity preference of the past year subsides, or lead to sovereign default. Pointing to a non-negligible risk of sovereign default in the US and the UK does not, I fear, qualify me as a madman. The last time things got serious, during the Great Depression of the 1930s, both the US and the UK defaulted de facto, and possibly even de jure, on their sovereign debt. In the case of the US, the sovereign default took the form of the abrogation of the gold clause when the US went off the gold standard (except for foreign exchange) in 1933. In 1933, Congress passed a joint resolution canceling all gold clauses in public and private contracts (including existing contracts). The Gold Reserve Act of 1934 abrogated the gold clause in government and private contracts and changed the value of the dollar in gold from $20.67 to $35 per ounce. These actions were upheld (by a 5 to 4 majority) by the Supreme Court in 1935. In the case of the UK, the de facto sovereign default took the form of the conversion in 1932 of Britain’s 5% War Loan Bonds (callable 1929-1947) into new 3? % bonds (callable from 1952) on terms that were unambiguously unfavourable to the bond holders. Out of a total of £2,086,000,000 outstanding, £1,500,000,000, or something over 70%, was converted voluntarily by the end of 1932, thanks both to the government’s ability to appeal to patriotism and joint burden sharing in the face of economic adversity and to ferocious arm-twisting and ‘moral suasion’. I believe both defaults were eminently justified. There is no case for letting the interests of the holders of sovereign debt override the interests of the rest of the community, regardless of the financial, economic, social and political costs involved. But to say that these were justifiable sovereign defaults does not mean that they were not sovereign defaults. Similar circumstances could arise again. While I consider an inflationary solution to the public debt overhang problem (and indeed to the private debt overhang problem) to be more likely in the US and even in the UK than a sovereign default (or ‘restructuring’, ‘conversion’ or ‘consolidation’, as it would undoubtedly be referred to by the defaulting government), neither can be dismissed as out of the question, or even as extremely unlikely. Central banks, with the notable exception of the procrastinating ECB, are doing as much as they can through quantitative easing and credit easing to deal with the immediate crisis. Unfortunately, some of them, notably the Fed, are providing these short-term financial stimuli in the worst possible way from the point of view of medium- and longer-term economic performance, by surrendering central bank independence to the fiscal authorities. When the Fed lends on a non-recourse basis to the private sector with only a $100 bn Treasury guarantee for a possible $1 trillion dollar Fed exposure (as with the TALF), when the Fed purchases private securities outright with just a similar 10-cents-on-the-dollar Treasury guarantee or when the Fed is party to an arrangement that transfers tens of billions of dollars to AIG counterparties - money that is likely to be extracted ultimately from the beneficiaries of other public spending programmes or from the tax payer, either through explicit taxes or through the inflation tax - the Fed is acting like an off-balance sheet and off-budget special purpose vehicle of the US Treasury. When the Chairman of the Fed stands shoulder-to-shoulder or sits side-by-side with the US Treasury Secretary to urge the passing of various budgetary proposals - involving matters both beyond the Fed’s mandate and remit and beyond its competence - the Fed is politicised irretrievably. It becomes a partisan political player. This is likely to impair its ability to pursue its monetary policy mandate in the medium and long term. The global stimulus associated with the increase in IMF resources agreed at the G20 meeting earlier this month will be negligible unless and until these resources actually materialise. The statements, declarations and communiqués of the G20, including the most recent ones highlight the gaps between dreams and deeds. Even the promise of an immediate increase in bilateral financing from members of $250 bn is not funded yet. Only $200 have been promised firmly - $100 bn by Japan and $100 bn by the EU. Prime Minister Brown announced that the PRC had committed another $40 bn, but apparently he had forgotten to clear this with the Chinese. As regards the plan to incorporate in the near term, the immediate financing from members into an expanded and more flexible New Arrangements to Borrow would be increased by up to $500 billion (that is by another $250 bn). Unfortunately, nobody has volunteered any money yet. It therefore has no more substance than past commitments by the international community to fund the achievement of the Millenium Development Goals. Then there is the promise that the G20 will consider market borrowing by the IMF to be used if necessary in conjunction with other sources of financing, to raise resources to the level needed to meet demands. That is classic official prittle-prattle - suggesting the IMF borrow without providing it with the resources (capital) to engage in such borrowing. There is also $6 bn for the poorest countries, to be paid for by IMF gold sales and profits. Nice, but chicken feed. Finally there is the decision to support a general allocation of SDRs equivalent to $250 billion to increase global liquidity, $100 billion of which will go directly to emerging market and developing countries. The problem is that this requires the approval of the US Congress, which is deeply hostile to any additional money for any of the Bretton Woods institutions. A special allocation of SDRs is also out of the question, because the US has not yet ratified the fourth amendment to the IMF’s articles (approved by the IMF’s Board of Governors in 1997!). So apart from the $240 bn (or perhaps only $200 bn) already flagged well before the G20 meeting, the only hard commitment to additional resources (or to resources that have any chance of being available for lending and spending during the current contraction) is the $6 bn worth of alms for the poor from the sale of IMF gold. That’s what I call a bold approach! The Multilateral Development Banks may well be able to increase their lending by $100 bn as announced by the G20, even with existing capital resources. The increase in trade credit support announced at the G20 meeting is very modest indeed - $250 bn could be supported (mainly through guarantees, I suppose) over the next two years. As regards protectionism, we must be grateful for the vast difference between today’s relatively mild manifestations and the virulent protectionism of the 1930s. But again, the last few G20 meetings have yielded not a single concrete protectionism-reducing measure. There are signs that the rate of contraction of real global economic activity may be slowing down. Straws in the wind in China, the UK and the US hint that things may be getting worse at a slower rate. An inflection point for real activity (the second derivative turns positive) is not the same as a turning point (the first derivative turns positive), however. And even if decline were to end, there is no guarantee that whatever growth we get will be enough to keep up with the growth of potential. We could have a growing economy with rising unemployment and growing excess capacity for quite a while. The reason to fear a U-shaped recovery with a long, flat segment is that the financial system was effectively destroyed even before the Great Contraction started. By the time the negative feedback loops from declining activity to the balance sheet strenght of what’s left of the financial sector will have made themselves felt in full, financial intermediation is likely to be severely impaired. All contractions and recoveries are primarily investment-driven. High-frequency inventory decumulation causes activity to collapse rapidly. Since inventories cannot become negative, there is a strong self-correcting mechanism in an inventory disinvestment cycle. We may be getting to the stage in the UK and the US (possibly also in Japan) that inventories stop falling an begin to build up again. An end to inventory decumulation is a necessary but not a sufficient condition for sustained economic recovery. That requires fixed investment to pick up. This includes household fixed investment - residential construction, spending on home improvement and purchases of new automobiles and other consumer durables. It also includes public sector capital formation. Given the likely duration of the contraction and the subsequent period of excess capacity, even public sector infrastructure spending subject to long implementation lags is likely to come in handy. A healthy, sustained recovery also requires business fixed investment to pick up. At the moment, I can see not a single country where business fixed investment is likely to rise anytime soon. When the inventory investment accelerator goes into reverse and starts contributing to demand growth, and when the fiscal stimuli kick in, businesses wanting to invest will need access to external financing, since retained profits are, after a couple of years of declining output, likely to be few and far between. But with the banking system on its uppers and many key financial markets still disfunctional and out of commission, external financing will be scarce and costly. This is why sorting out the banks, or rather sorting out the substantive economic activities of new bank lending and funding, that is, sorting out banking , must be a top priority and a top claimant on scarce public resources. Until the authorities are ready to draw a clear line between the existing banks in western Europe and the USA, - many or even most of which are surplus to requirements and have become parasitic entities feeding off the tax payer - and the substantive economic activity of bank lending to non-financial enterprises and households, there will not be a robust, sustained recovery. Travelers who've already bought their tickets for summer or fall flights to Europe could be eligible for big refunds now that carriers, worried about weak business travel demand and sagging revenue, are cutting prices dramatically. There are a couple of catches. The refunds are paid in vouchers for future travel, not in cash. And the amount will be reduced by exchange fees of $200 to $250 that the airlines charge for redoing the tickets. Still, the potential savings are big for travelers who exchange higher-price tickets for the cheaper ones now being offered. For example: If you bought a summer round-trip ticket for San Francisco to London on Jan. 5 for $1,418, that same ticket today would cost you $818, a difference of $600. Even after deducting the $250 fee for exchanging the ticket, you would get a voucher for $350 in future travel. "You'd be a fool not to go back to the airline and (exchange) your ticket for the same flight on the same day," says Tom Parsons, CEO of BestFares.com. "If you don't, you're leaving hundreds of dollars on the table." The only reason not to do it, Parsons says, would be to gamble that the airlines lower their prices even further in the weeks ahead. Parsons strongly suggests consumers hold off buying tickets for flights to Europe after Oct. 26 because, he says, "We expect these airfares will be cut by another 25% to 40% sometime in the very near future." Fares have been falling because demand for international travel has been extraordinarily weak. Consolidated data from the first quarter isn't yet available. But the four biggest U.S. carriers in international markets, Delta, United, American and Continental, individually reported declines in international passenger traffic of 8.3%, 18.3%, 10.8% and 7.5%, respectively. In most cases, the decline in traffic inside the USA was even larger in the first three months. But the airlines lose more money from a reduction in international travel because it's comprised of more business passengers, who traditionally pay more for seats. To fill seats, the airlines have stepped up their sales to attract bargain-hunting leisure travelers. The refund bargains are available for many flights to Europe because some international air tariff rules let passengers exchange a purchased ticket for a lower-price fare subsequently offered for the same day. Refunds aren't available on domestic flights and some international flights because of different tariff rules. Five years ago, this small factory town was struggling to pay the interest on a bond for new sewers. Bob Phillips, Lewisburg’s part-time mayor and full-time pharmacist, was urged by the town’s financial adviser, an investment bank named Morgan Keegan & Company, to engage in a complex financial transaction to lower interest rates. When a Lewisburg official attended a state-sponsored seminar intended to lay out the transaction’s benefits and risks, he was taught by investment bankers from Morgan Keegan. And when Lewisburg decided to go ahead with the transaction, who was there to make the deal? Morgan Keegan. In January, local officials were shocked to discover that annual interest payments on the bond had quadrupled to $1 million. Morgan Keegan, they said, did not serve them well in any of its roles. "We’re little," Mr. Phillips said, "and we depend on people wiser than us in financial ways to keep us informed, tell us what things mean, and I really didn’t think we got that." Lewisburg is one of hundreds of small cities and counties across America reeling from their reliance in recent years on risky municipal bond derivatives that went bad. Municipalities that bought the derivatives were like homeowners with fixed-rate mortgages who refinanced by taking out lower-interest, variable-rate mortgages. But some local officials say they were not told, or did not understand, that interest rates could go much higher if economic conditions worsened — which, of course, they did. The municipal bond marketplace was so lightly regulated that in Tennessee Morgan Keegan was able to dominate almost every phase of the business. The firm, which is based in Memphis, sold $2 billion worth of municipal bond derivatives to 38 cities and counties since 2001, according to data compiled by the state comptroller’s office. After The New York Times made inquiries, the Tennessee comptroller, Justin P. Wilson, ordered a statewide freeze on bond derivatives and a review of the seminar taught by Morgan Keegan and others. Representatives of Morgan Keegan pointed out that they saved cities and counties money for years by delivering lower interest rates, and that the economic decline that created the turmoil in the bond market was beyond their control. Moody’s credit rating agency on Tuesday issued a negative outlook for the fiscal health of municipal governments. In Washington, federal regulators are now considering ways to restrict the use of municipal bond derivatives. Regulators and some in the industry are challenging whether it is appropriate for large investment banks to engage small cities and counties in transactions that lower interest rates but carry higher risks. "When these sophisticated things were created, most people didn’t think they’d ever be used by the smallest issuers, who had the least amount of resources and knowledge and experience to understand the risks," said Thomas G. Doe, the chief executive of Municipal Market Advisors, a bond strategy company in Concord, Mass. In Lewisburg, the fallout from the bad bonds confronted the city of 11,000 people at an inopportune moment. Unemployment just nudged past 10 percent, businesses like Penny’s Home Cooking are shuttered, and a sprawling new corporate park sits mostly empty. A nearby employer, Sanford Pencil, the maker of Sharpie pens, is preparing to move to Mexico. Unlike most states, Tennessee was one of the few where the legislature passed a law intended to regulate the sale of these complicated municipal bond derivatives to local governments. But the profusion of those deals and the various roles of Morgan Keegan have left leaders of those cities and counties furious at both the firm and the state. In Claiborne County, north of Knoxville, officials said they were recently told by Morgan Keegan bankers that extracting themselves from a municipal bond derivative would cost $3 million, a sum the poor county cannot afford. "I told the Morgan Keegan man here in my office, ‘It seems to me, you are all trying to slip paperwork by us like a small, shady loan company,’ " said Joe Duncan, the mayor of Claiborne County. In Mount Juliet, a suburb east of Nashville, city leaders were surprised to discover that the payments on its bonds had increased by 500 percent to $478,000. Morgan Keegan offered to refinance the bonds, but the city hired a new financial adviser and another investment bank. "We decided we needed advice from someone who was not trying to sell us something," Mayor Linda Elam said. Mr. Wilson, the state comptroller, told a State Senate finance committee two weeks ago that his office was examining the guidelines on municipal bond derivatives, including the "swap school" taught by Morgan Keegan and the Nashville law firm of Bass, Berry & Sims, which often served as the bond counsel. An investment bank makes more in fees and annual income from derivatives than from fixed-rate bonds. Morgan Keegan has made millions of dollars in fees in Tennessee since 2001, but the precise number is not public. "I think the multiple roles of a single firm is something we should look at, and there well may be limitations or prohibitions," Mr. Wilson, who became comptroller in January, said in an interview. In hindsight, he said, it "may not have been the best idea." Municipal bond experts say they know of no other state where a firm was allowed to wear three hats; several states prohibit a single firm from acting as both adviser and underwriter. In Pennsylvania, which has such a prohibition, federal prosecutors are investigating accusations that investment banks and financial advisers conspired to sell bonds with inflated fees to school districts. "It’s like the lion being hired to protect the gazelle," Robert E. Brooks, a municipal bonds expert and a professor of financial management at the University of Alabama, said of the situation in Tennessee. "Who was looking after these little towns?" Morgan Keegan said local officials were unfairly blaming them for the economic downturn. "People are upset; we’re upset, too," said Joseph K. Ayres, the firm’s managing director. "We’ve been very successful helping a lot of communities try to weather this storm. Obviously, there are going to be a few disappointments. People are going to look to find a scapegoat. We’re big boys and girls. We understand that." Mr. Ayres denied that the firm had a conflict in advising municipalities and underwriting bond derivatives. He said that Morgan Keegan had taught the seminar at the request of the state and that they had offered unbiased descriptions of municipal bond options. He added that the firm had not marketed products during the sessions. "I don’t think the course was skewed at all," Mr. Ayres said. "It was designed to deal equally with risk and reward. The course was approved by the state comptroller’s office." Karen S. Neal, a lawyer at Bass, Berry & Sims, said the comptroller’s office had strictly monitored the seminars. "There was certainly no intent that they be biased one way or the other," Ms. Neal said. "The intent was purely to educate people on the process, the mechanics, the legal requirements, the risks and the benefits." For decades, the tax-exempt municipal bond was considered as safe a way to raise money as it was to invest money. If a city wanted to build a bridge, a hospital or a school, it raised the money by issuing a bond and repaid investors over decades. Bonds were considered conservative and dependable. Beginning in the late 1970s, big states like California began to use variable rate bonds as a way to save money. By the late 1990s, some rural counties and small towns jumped on board as a way to avoid raising taxes. Not long afterward, interest rate swaps were introduced. A swap allowed a municipality to keep a portion of its debt at a fixed interest rate and a portion at a variable rate. The municipality was, in effect, betting that interest rates would move in its favor. Investors protected themselves by taking out insurance that guaranteed they would be paid. But as the nationwide credit market collapsed, most of the bond insurers’ credit ratings were downgraded, including the Ambac Financial Group, the primary insurer of Tennessee bonds. That allowed the investors to accelerate the retirement of the debt, usually from 20 years to 7, leading to a steep increase in the interest rate. Although such a provision was in the swap contract, several local officials said that possibility had not been explained to them. The risks of the transactions were, in fact, on the minds of members of the Tennessee legislature in 1999, when they passed a law requiring a municipality to follow several procedures before receiving authorization from the comptroller to enter a swap agreement. Even with those regulations, the comptroller approved all 215 swap applications submitted in the state since 2001. "Tennessee was an unwitting conspirator in this whole mess," said Emily Evans, a Nashville City Council member and former bond trader who was a critic of her city’s swap deal on the bond for the Tennessee Titans’ stadium. One of the most important provisions of Tennessee’s law was education. In 2000, the state comptroller at the time, John G. Morgan, appointed nine government and industry representatives to establish guidelines for derivatives and devise a curriculum for the swap school. The panel included two lawyers from Bass, Berry & Sims and a Morgan Keegan banker. Mr. Morgan said he had asked business professors to teach the course, but they had declined. "So the job was left for the people who know the most about these intricate transactions — the people in the business," he said. "I didn’t think there was a problem." State records show that the comptroller’s office approved course material submitted by Morgan Keegan and Bass, Berry & Sims. In 2007, the comptroller approved a 300-page course book in two days, the records show. In a 177-page book used in 2003 and reviewed by several bond experts for The Times, there was far more about rewards than risks. On a page titled "Interest Rate Swap Risks" for example, there is no mention of the consequences of a downgrade in the bond insurer’s rating. Ms. Evans said the daylong seminars, held in Memphis, Nashville and Knoxville, amounted to "nothing more than an infomercial." The first page of a manual used at a 2007 seminar quotes the former Fed chairman Alan Greenspan extolling the virtues of derivatives in 1999. Peter Shapiro, the managing director of Swap Financial Group of South Orange, N.J., said the material "certainly doesn’t have what we would consider the requisite amount of detail going through the risks, how they materialize and how you might attempt to mitigate them." Sheila Luckett, the city recorder in Mount Juliet, attended the swap school twice. "It was way over my head," she said. "I’m not a bonds person. People with Morgan Keegan told me, ‘Don’t worry if you don’t understand it.’ "
In many corners of Tennessee, the first anyone heard of interest-rate swaps was from C. L. Overman, a vice president of Morgan Keegan who assured officials that the deals carried little risk, city and county officials said. "He told us it would be a good thing and there wasn’t much downside," said Mayor Duncan of Claiborne County. He then laughed, adding, "When everything went belly up, of course, they told us it wasn’t their fault." Earlier this year, Claiborne County officials were told by Mr. Overman that they had only a few weeks to refinance an $18 million bond or pay a quadrupled quarterly payment of $700,000. Mr. Overman declined to comment for this article. In Lewisburg, after Mr. Overman pitched the swap idea for the sewer project, Kenneth E. Carr, a city official, attended the class. "The seminar was dull and boring," said Mr. Carr, who still has a copy of the book, stamped with the state seal of Tennessee on every page. "I thought, ‘Well, this is approved by the state because they put their seal of approval on it. This must be something they think is good for us.’ "
Mr. Carr said he had not known the course would be taught by the bank and the law firm involved in Lewisburg’s deal. "It would have been better if someone neutral had taught the course," he said. Even so, he said the officials making the decision never asked his opinion after the session. Connie W. Edde, Lewisburg’s finance director, said she had assumed the city would reject the proposal because "it was a big risk." But hours before the City Council was to meet on the plan, Ms. Edde said, she saw the city’s superintendent for water and sewage return from lunch with Mr. Overman. The superintendent "announced that he decided this was now a good idea." That evening, the plan passed. Mr. Ayres, the Morgan Keegan managing director, pointed out that Lewisburg had benefited from a relatively low interest rate of 2.5 percent, a rate that did not include the firm’s fees. This year, with residents facing a 33 percent increase in water and sewer rates, the city decided to refinance the bond, dropping Morgan Keegan and hiring another financial adviser. Mayor Phillips said the city would use fixed rate debt on its new bonds. "Nothing that says derivative, nothing that says swap," he said. "We learned our lesson." Jack Spirko owns a media company, is married to a nurse and has a son in college. He has two dogs and lives in a nice house with a pool in a diversified neighborhood in suburban Arlington, Texas. Spirko, 36, considers himself an average guy with a normal life. But for the past few years, Spirko has been stockpiling food, water, gas, guns and ammunition. He also has a load of red wine, Starbucks coffee and deodorant stashed away. "I refer to myself as a modern survivalist, which means I don’t do without," Spirko explained. "I have a nice TV; I have nice furniture. We are not living in the sticks, but I take all of these things very seriously." Spirko, an Army veteran and self-described "stark-raving-mad Libertarian," is part of a growing movement of people who are preparing for a disaster natural, economic or man-made. Referred to as "modern survivalists" or "preppers," they are taking steps to protect and provide for their families should something bad happen. Theirs is a different breed of survivalist, far from the right-wing militants or religious extremists who hole up in bunkers, live off the land and wait for the apocalypse. Preppers are regular people with regular jobs who decided after 9/11, after Hurricane Katrina or when their 401(k)s tanked that they can’t rely on someone else to help them if something goes awry. "We are normal people just like you," Spirko said. "We just understand that, sometimes, stuff goes wrong." Donnie, 38, a McKinney resident who is an account executive with an international trade show organization, said Hurricane Katrina opened his eyes. He spent six weeks working as a paramedic in New Orleans. "It was a logistical nightmare getting to the area," Donnie said. "And the longer you were there, the more you realized that, in a blink of an eye, your life can be turned upside down. I don’t want to be the person in the bread line or standing in line for ice." Donnie, like many of those interviewed for this article, agreed to talk to the Star-Telegram on the condition that his last name not be used. "I usually don’t advertise it," Donnie said. "There are people who cast a wary eye." He said that after Katrina, he amassed about two weeks’ worth of food. But last September, after the economy began to sour, he "kicked into a higher gear" and acquired more supplies and water-filtration systems. "I probably have about six months’ worth of food for two people," Donnie said. "I keep about 30 gallons of water on hand, and I have the means to store another 200 gallons if I have advance notice of something going bad." Art Markman, a professor of psychology at the University of Texas at Austin, said that when people start stockpiling food and water or buying weapons, they are in a motivational state called "avoidance mode." "You turn on the news and only hear about job losses and the prospect that things are going to get worse than better," he said. "You see signals that the world is full of nasty things you need to avoid. You’ve engaged in this general sense of avoidance. You are trying to focus on safety concerns." Markman said the trend is not surprising, given the economy. What exactly preppers are preparing for isn’t specific. It could be a layoff, tornado, global pandemic or nuclear war. Internet sites devoted to survivalism often refer to scenarios like TEOTWAWKI, an acronym for "the end of the world as we know it." "I am prepared for just about any disaster that disrupts everyday living," said Bob, 43, a sales manager from eastern Pennsylvania who runs www.thinkprepared.net. "... The economy is at the forefront of my concerns. The unemployment rate is soaring, and most people are not prepared to be without a paycheck for a week, much less a month or longer," Bob said. Businesses that sell storable foods, disaster shelters and guns are thriving. Bruce Hopkins, owner of Best Prices Storable Foods, which sells dehydrated and canned foods, said sales "exploded" last spring and remain steady. On a single day last week, Hopkins sold $31,000 worth of storable food. Hopkins said a popular item is a one-year food supply for a family of four or family of two, priced at $4,000 and $2,700, respectively. "I think to have anything less than a month's food supply is foolish," said Hopkins, whose business is in Quinlan, south of Greenville. "I think it is time to stop watching American Idol and start paying attention to what is going on in the world." Walton McCarthy, owner and principal engineer of Radius Engineering International, builds underground disaster shelters that protect against nuclear, chemical and biological warfare, among other things. He said his business has tripled since July, when reports of Iranian missile tests surfaced. McCarthy’s disaster shelters hold 10 to 300 people and cost $105,000 to $6 million. His customers include politicians, doctors and key executives. "What we are going through now is the Pearl Harbor blues," said McCarthy, whose company is based in Forney, east of Dallas. "All of the ingredients are here. It is around the corner, and no one should be surprised." At Cheaper Than Dirt Outdoor Adventures, a gun store in north Fort Worth, business has never been better. Owner Dewayne Irwin said he sees three types of customers: "You have the everyday good ol' boy Texas gun owner. You have the folks that are coming in and saying, 'I’ve lost my job and my neighbor lost their job’ and they really believe they might have to fight over a bucket of carrots or something. And you have the guys who are first-time gun buyers and they don’t really know why. It is Main Street. It is crazy." Spirko grew up in rural Pennsylvania, where hunting, fishing, gardening, and canning and storing food were a way of life. "No one looked at that back then and said, 'These people were survivalists,’?" Spirko said. "That is just what you did." After Spirko got out of the Army, he moved to Texas and started working in communications and sales. "I found myself in my mid-20s pursuing corporate America, working the six-figure job and traveling all over the United States," Spirko said. And then, Y2K happened or, rather, didn’t happen. "I thought they were absolutely crazy," Spirko said. "They thought the toaster was going to explode when it goes to 2000 or whatever." And while Spirko didn’t buy into the Y2K scare, he did think legitimate concerns had been raised. "Right after that, we had the dot-com bubble explode. We had the stock market crash. My portfolio went down by 50 percent overnight. And then 9-11," he said. "I started going back to my roots and started to look at ways to preserve our cash and make sure we had some food on hand." In July, Spirko launched a podcast for modern survivalists at TheSurvivalPodcast.com. He encourages people to pay down their debt and have extra cash, water and food and an evacuation plan. About the same time, he expanded his backyard garden, where he grows tomatoes, peas, corn, strawberries, onions and jalapeños, among other things. "We had two big scares with produce last year — jalapenos and tomatoes," Spirko said. "First jalapenos had salmonella, and then tomatoes had salmonella. If that can happen, what other things can happen?" Gwenn, 52, a self-described "girlvivalist," runs a lodging house in Beaumont, Texas. She has plenty of water, a year's worth of food and a shotgun for protection. "When we had Hurricane Ike here, a lot of my tenants didn’t evacuate," she said. "While my neighbors were standing in line for MREs [Meals Ready to Eat] at the shopping center, we were grilling steak." Many survivalists — Spirko is not one of them — are "closet preppers." Afraid that they will be viewed as crazy or weird, they don’t tell people they are storing freeze-dried food, canning their own vegetables or setting up an alternate location where they can go if TEOTWAWKI arrives. They also don’t want "raiders" beating down their door if a disaster happens. Bob said survivalists are often viewed — incorrectly — as doomsayers. "Some people think we want the end of the world as we know it," he said. "I can tell you from my heart, I hope nothing like that ever happens. I want my sons to grow up and have a great life." Still, Bob believes that everybody should at least have a 72-hour bag of gear, also known as a "bug-out bag," ready to go. "Survival today is more about being prepared for short-term situations, like hurricanes, floods and blizzards," Bob said. "Learn some basic skills like gardening, first aid and personal defense. Become self-reliant like our grandparents were." Jordan Mills, 30, an information technology contractor in downtown Houston, put his bug-out bag to good use during Hurricanes Rita and Ike. In it, he keeps his birth certificate, medical records, cash, food, water, flashlights, tape, garbage bags, clothes and other supplies. Mills said he didn’t choose the "survivalist" label, but others have called him that. "The word brings to my mind an image of a gruff mountain man with a log cabin, 10 years of food stored up and enough guns to outfit a small army," he said. "I don’t meet that image at all. I consider the chance of a total collapse of society and the end of the world as we know it to be pretty much zero. To me, survivalism is really just preparing for day-to-day inconveniences or emergencies." Every morning, Spirko gets in his diesel Jetta and makes the 50-mile commute from Arlington to Frisco, where his media company is based. During the drive, he records his daily podcast. He discusses things like storing food safely, finding alternative energy options, dealing with anti-survivalist stigma and finding time to prep. "The more I dug in, the more I learned," he said. "And then something really cool happened: This community started to build around it." Spirko said that about 4,000 people download his podcast each day and that his audience is growing. "People are always waiting for someone else to come and help them," he said. "To me, survivalism is just waking back up to traditional American values. I’m talking about basic self-responsibility, basic self-worth — understanding that you control your life more than anybody else. "If you do nothing, you may not regret it. But if you do regret it, you are really going to regret it." If the UAW looses their pensions they should march on Washington and burn that sucker down. Bailouts for the big boys that caused the meltdown and lose of pensions, 401K's, jobs, pay, and health benefits for the rest of us. Sounds about par for the good old USA. If things crash again during the fall and winter months, will there be another rally next spring / summer? The decline this rally is correcting (IMO) lasted from October 2007 to March 2009. Once the decline begins again (IMO in a few months), I would expect the next phase to last a similar amount of time. This is not to say that there wouldn't be smaller rallies, as those happen frequently, but there should be no new rally on the scale of this one until about that long. I am expecting 2010 to be an almost unmitigated disaster from start to finish. "If things crash again during the fall and winter months, will there be another rally next spring / summer? It seems I read somewhere that people being happy to have winter over with generally had a more positive attitude towards *everything* come spring, and was just curious about the possibilities in 2010"
Ever dribble a basketball with a bullet hole in it? There will be some minor rallies afterwards, but nothing major until the S&P is under 100 and several years have gone by. If anything happens to GM pensions they will never get anybody to retire no matter what incentives are offered. The older employees will die on the job and the younger ones will have to find other employment. "but I would bet that the vast majority of pension funds still base their long term views on annual returns of 7% or 8% on investments. Which they haven't gotten in 15 years, even in boom times. Now they are off their own marks by 50% or 60%." They actually got those returns, infact they beat them for a number of years. The average rate of return for stocks was 9.3% actually as this includes dividends reinvested. Dividends are one of the biggest components in driving stock prices. The actual appreciation is but one part. The obvious thing is that pension funds live in the past, dividends were so high as companies took on more debt to lever up, hence in the future as they pay down debt, dividends will hence decline. So obviously it is wrong that pension funds have not seen the new reality but history shows that 9-10% returns are not uncommon in the last 25 years or so. I'm a little confused by your post: "How Can Mortgage Securities Be Worth So Little When Houses Aren't Going To Zero?" Isn't each tranche composed of actual loans on real homes? That is, even on a Subordinate Tranche that's not paying anything, isn't there a home that can be repossessed and sold, albeit at a loss? And since the bank owns the house, the same bank can sell the house and charge interest, right? So how does a total loss take place? "Most experts believe that the situation is even worse than these official funding figures suggest, because of the way the funds calculate returns and liabilities. Almost all funds base their funding levels on an assumption of an annual return of 8 per cent, but in the decade to 2004 the average return was only 6.5 per cent." Martin Weiss and Karl Denninger seem to agree with many of the arguments that Ilargi and Stoneleigh have made. Everyone agrees that we are in the early stages of a depression, the biggest banks are insolvent, and asset prices will continue to lose substantial value in the year(s) ahead. The main difference in the Automatic Earth outlook vs. Martin Weiss and Karly Denninger is the long term (time frames 2-3 years from now). Denninger and Weiss seem to think that recovery is possible if we take the painful medicine now and admit the obvious - the banks are dead. Businesses will fail, individuals and municipalities will go bankrupt, and debt will be cleared from the system. At that point, both Weiss and Denninger argue that a recovery of some sort can begin. Neither individual makes clear whether they think we can return to year 2006 living standards, but both imply that some sort of lasting bounce off the bottom is possible. The Automatic earth, on the other hand, argues that a recovery to year 2006 living standards, or anything like them, is nothing but a fantasy. Could Ilargi, Stoneleigh, or anyone else highlight the main reasons why we won't bounce off the bottom to some higher standard of living at least for a while once the mass deleveraging event is finished? If I have understood Ilargi and Stoneleigh correctly, the reason for permanent decline relates to the loss of our energy (fossil fuel) subsidy. However, it seems that nobody really knows when the bumpy plateau in oil production will end. We've been riding this plateau in world oil production since 2005 and some analysts think the decline won't happen until 2015 or 2020. Isn't the timing of the oil production/export decline the primary issue in determining when living standards are permanently compromised? As long as it does not harm the corporate officers it is acceptable for business to unilaterally change the terms of worker employment contracts or default on a pension obligation, however an employee can't sleep on the job or sell off corporation property without severe repercussions. Why is that? Jim Kunstler's uses the term. "the tragedy of previous investment", when he refers to the suburbs but it's a good description for pensions also. Pensions are from the 'salad days' of 20th century capitalism. The concept is dead as a dodo in light of the fact that interest on investments is a bygone function of cheap plentiful fossil fuel, which is the lubrication of 'Growth', a truly dubious notion in light of the permanent decline of cheap energy complicated by the wholesale gutting and looting of American finance by Pirates. Anyone who has ever been in a car where the engine seizes from lack of lubrication will recognize the same symptoms in the US economy. You feel a sudden shuddering, first in the steering wheel and gas pedal, and then as it amplifies it spreads out and rapidly shakes the entire frame of the car pretty violently until the pistons stop in their cylinders and the valve cam stops turning and the timing belt breaks. The economy's steering wheel started shuddering in July of 2007. The frame is shuddering at the moment, hey maybe it will all smooth out, like magic. Given the recent Italian earthquake, I began to wonder how such a surprise, large catastrophic event happening here might change the rate and course of the decline of economy of the USA. Would it push us more rapidly into a hyper-inflation? Would it provoke a debt forgiveness attitude for the housing and other markets in a desperate effort at stabilization? The post-bounce sustainability won't last because we'll never get the chance to experience it. In other words, considering it is moot because the level of collapse we're being set up for is an all or nothing proposition. "There is no plan B." I'd say, without great conviction, that Karl is an investor and wants everything to carry on at a higher level than Ilargi recognizes as being the end result of all this misdirected energy. The 'bumpy oil plateau' is probably over. It really wasn't very long. We are now trapped in what I think of as a 'door bell' phase. Because of the financial meltdown, financing for the oil supply side of the equation is permanently crippled. It will Never come back. The global depression shut off capital for continued supply side drilling projects. They are toast because they need a lead time financing window. This is Gone Baby. If economic activity tries to pick up anywhere in the global economy, be it the US, Asia or the Eurozone, the supply will not accommodate the demand because the output from critical near future drilling projects will not be there, they were deep sixed by the global depression. So every time the global financial infrastructure tries to fire up, the lack of supply from new oil drilling/exploring projects that were canceled shuts it down. A real teaser. Ding, dong, ding, dong, no one's at the door now. Like a doorbell clapper, the cycle contains it's own shutdown mechanism. It will alternate forever between false start and false stop, a truly maddening conundrum. Get comfortable with the New Futile System. "Given the recent Italian earthquake ..."
This could be the straw ... watch what happens to insurance claims. "How Can Mortgage Securities Be Worth So Little When Houses Aren't Going To Zero?" My estimate is that real estate will fall by AT LEAST 90% on average, with substantial variation. Right now the property market is fairly illiquid, in that sellers won't sell for what buyers are prepared to pay. Prices haven't appeared to fall that far yet in many places because without many sales, owners can still pretend they are worth close to what they once were (like mark-to-model). At some point, however, there will be enough sales at vastly lower prices that whole neighbourhoods will be effectively repriced (a mark-to-market event). In places this has happened already, while in other places it is coming. Many properties will go to zero. Some are already old and in considerable disrepair. Others are new and exceptionally poorly built by builders trying to cash in on the previous mania. Others are situated in locations where they will be uninhabitable due to the collapse of transport and essential services. Suburban overbuild will be blighted by abandonned homes stripped of everything of any value or filled with squatters, as banks cannot to maintain properties they have repossessed. Looking at parts of Detroit, for instance, where a house can be cheaper than a second-hand car, sends warning signals as to where property markets head when employment dries up. Detroit is an advance warning for the rest of us. Where there is no purchasing power, there is no price support, and houses which are abandonned or repossessed can lose all value very quickly, dragging down whole areas. As the housing decline progresses, repossessions will recover very much less value. This gives banks an incentive to repossess quickly - before they see so much inventory on the market that less is recovered than it costs the bank to effect the sale of the property. The cost of maintaining a property in a saleable condition once it is empty can be considerable, and that empty period can last a very long time when there is a flood of inventory and potential buyers have sharply falling purchasing power. In many cases, saleability will be either physically impossible to maintain, or simply too costly to be worth it. Most importantly, the extreme leverage built into the system inherently leads to its implosion. The value of the mortgage-backed securities sold vastly out-weighed even the peak valuation of the underlying real estate market. Securitization was an excess claims generating mechanism creating multiple and mutually exclusive claims to the same pieces of underlying real wealth pie. Those excess claims, which represent the vast majority of the securities pool, will be extinguished. As the price of the underlying assets falls off a cliff at the same time, those losses are magnified through leverage. Where there would have been a very substantial percentage of excess claims even at the peak of the housing market, in a plummeting housing market, those percentage of excess claims skyrockets. When those are extinguished, pennies on the dollar will be an optimistic valuation for the securities. Finally, the price of securities represents the odds of recovering value as assessed by the market. That doesn't mean the market's assessment is right. During times such as these, the market will be suspicious and pessimistic, and will force undervaluation in the same way that its previous manic optimism forced over-valuation. If investors simply decide an asset class is toxic, they may fail to see value even where some value does in fact exist, especially where maintaining the value of the underlying asset in the real world can be an expensive hassle. I'll answer other questions later. Right now I have to get to a meeting in 15 minutes. Some of the readers on the comment section don't seem to get the basic principles of leveraging. I think the easiest example is of buying a stock on margin. Suppose you buy a 100 shares of American Horseturd at $100 a share on 50% margin. This means that someone has lent you 50% to buy the shares. AHT drops to $50 per share. You get a margin call from your lender saying put up more dough or he is going to confiscate the stock and sell it for himself. You are out of funds, so you lose everything. So you made a $50 X100 = $5000 investment. The stock only halved but your investment fell to zero. The derivatives are far more complicated but the principles (or lack of them) are the same. "... sellers won't sell for what buyers are prepared to pay..."
In my area prices have fallen only 12%. There are houses for sale at that price but few buyers. The adjustments, (as you described), to lower prices will come with the increase of unemployments. Yes, there will be more Detroits. Well in University we were basically taught that the long term return for stocks was around 9.3%. What I found from googling around was that from 1926 to 2000, the AVERAGE real return was 9.3% but others say it was 7.4% using GEOMETRIC returns. The 9.3% figure comes from taking the returns from each of the 74 years, adding them up, and dividing by 74. From what I can gather, the pension funds should have been using AVERAGE returns for one year performance and GEOMETRIC returns for longer term performance. I wonder when the pension funds perform their calculations what rate of return do they mean? AND why they haven't changed their strategies given P/E ratios are over valued and dividends are dwindling. Strange?! If you read my comment from yesterday, do you think I get the basic principles of leveraging? this derivatives flow is being leveraged from, the volume supposedly increased by $250 trillion just last year, which is almost the entire global asset base of $300 trillion. I would think these are not the same sort of dollars, then. as it has no intrinsic value. I'm beginning to see how squared and cubed derivatives are structured, which makes me scared. Remember that pension funds hold more than just stocks. The author has also created a spreadsheet package at the link to calculate the returns of the period you want. As for the MBS/CDO puzzle -why do tranches go to zero?-, I think the John Carney article explains it well. What may be missed is that these instruments are structured in such a way that the lower tranches pay the highest interest rate in exchange for the risk of being killed off completely as soon as prices go down, a risk clear to all in the know. Until the higher tranches are filled, nothing at all seeps through to the lower ones, even if there is residual value left in the home the loan is based on. NOTE: "the bank owns the loan" or "the bank owns the home" are tricky statements, since the bank sells off the risk of holding the loan on its books along with the loan itself. It's not always clear who owns a loan or a home. You said Ilargi and you follow the dutch soccer-team, Oranje. Everytime they enter a big competition, the whole country descends into a kind of mass euphoria, with much commercial activity based on useless orange colored stuff, like hats, but the whole country instantly switches into a depression when they lose and get thrown out, like flicking a switch, sentiments are reversed, and everyone tosses out the now offensive orange junk, so as not to be reminded of their beloved teams humiliating defeat. The Canadian landscape is covered with ex mining and ex logging towns that have reinvented themselves. Yes, those towns shrank and many houses were demolished and the land returned to nature. Those that couldn't reinvent themselves are ghost towns. Housing prices were zero and were abandoned by the company or the individuals. From now on, it will be harder to do a reinvention and it will be a different kind of reinventing themselves. - Remember that pension funds hold more than just stocks. Also, regarding Wells Fargo's record 'profits' of $3 billion, or 55 cents a share. I believe there are 3 fundamental reasons that banks will report "Profits"
2) Accounting rules were changed to allow banks to mark their assets to fantasy and not reality. Is it really worth 1 dollars?? or more like 30 cents Wells? 3) Cost of capital declined, meaning banks now discount cash flows at a lower rate as the FED funds rate has lowered. The Present Value of money INCREASES. 100 dollars discounted at 3% a year for 20 years is worth a LOT more than 100 discounted at 6% for 20 years. Hence a lot of banks are going to be goosing the stock market to heights of irrational exuberance. First, I'm not really familiar with the other predictions, nor with what they're based on. That more or less professional investors may develop some blind spots seems clear. But a recovery in 2-3 years is a plain fantasy. You'd have to come with some good and solid ideas of what that recovery should be driven by. To take the US, it has lost huge parts of its manufacturing base, and more is lost each day, just look at job losses. An entire infrastructure has been and is being lost, and you don't rebuild that in 2-3 years. America tried the burger-flip-thy-neighbor model, and that doesn't go anywhere but down. Of course the whole idea of running an economy on your service industry is utterly nuts medium or long term. But the number one factor in the downfall is deleveraging. And it's -almost deceptively- simple: tens of trillions of dollars need to disappear from balance sheets, and that alone will take another 2-3 years. After all, we do what we can not to have that money disappear from the books, we're drawing it out as much as we can. When it'll be finally done, our societies will be left with a huge pile of debt, and no money, or credit. So there'll be nothing at hand to finance a recovery, and even if you could finance new production, there'd be no consumers able to afford the products. You can't just make new money, because that would either make you an international pariah, or, if you don't care about that, hyper-inflate your coin. This is to a large extent similar to the US in the 1930's: plenty of willing hands, but no cash to build facilities. In the attempt-at-recovery phase, which will be much further down the road than 2-3 years, and which will take place in a world you would hardly recognize today because of all the mayhem deleveraging will cause, available energy will become an issue. And we will find that the credit crunch has depleted development and maintenance strategies in oil, gas, wind, nuclear etc. so much that we'll have maybe 10% left on a daily basis from what we have now. And that's on average. Locally, we'll burn down forests, burn coal till we all have faces made of brown grooves. Those are the lucky locales. What oil is left will have long been monopolized by armed forces, be they from nation states or from more loosely affiliated assemblies. And now I got to get back to today''s posting. The analogy of the engine seizing up is a good one. I would add that once the process starts, stopping the car and pouring in a trillion quarts of oil is not going to fix the problem. The damage is done and engine is still going to seize up and soon. Thanks for the explanation. Same to El G.
Prices have already declined 80% in some areas in South Florida. Down the road, a 3,000 sq. ft. house built in 2006 on a few acres sold for $389,000 then, foreclosed about 9 months ago and was sold last month for $130,000! It seems like abandoned (by former owners) older homes are not being foreclosed by banks. They remain vacant with no for sale sign. I wonder if banks are avoiding foreclosure on these older homes so they won't have to pay property taxes. We built our simple 2/1, 980 sq. ft. house on 5 acres for $68,000 in 1993. Property taxes only $500/yr.! At the height of the housing bubble, its market value was $240,000. Now we probably could not even get $60,000 for it. Fortunately, it is paid for and we do not need to sell it to purchase a few acres in Vermont. We would rather keep it than sell it for $50,000 or less. It's lovely "virgin" land with native Palmetto, Cyprus and Slash Pine trees. Additionally, we've planted over 100 trees. We thought in 1993 that we would be here forever, but little did we know about catastrophic climate change (this area will be under water), etc. Housing in Vermont has declined about 10% so far. We've been agonizing about when to buy land in Vermont. Should we wait until prices come down further or go ahead and buy the land this Spring as we had planned? We are middle class folks and need to be very mindful about how we spend our cash savings since we're close to retirement and my husband could soon be laid off his government job. Your thoughts would be appreciated. At the G20 conference Obama gifted an Ipod to the queen of england. What kind of sickness causes such behaviour? This is an insidious form of corporatism, imprinting the consumerist mentality at a most inappropriate time, the mention of a brand name in this context should also constitute unlawful advertisement, directly from the heads of state no less. Perhaps Mr. Jobs pays them for this product placement. Obviously, the economic recovery should be fueled by mass producing Ipods, which cannot be classified as capital at all, but are purely a waste-product. Ilargi said: "You can't just make new money, because that would either make you an international pariah, or, if you don't care about that, hyper-inflate your coin." Isn't this what has been promised will happen to avoid a deflation and pay for the debt? What you say can't happen, already IS the monetary policy of the US. How right you are! What a lame gift. Not that I'm against hi-tech (otherwise I wouldn't be posting here, on a blog, on the internet) but there are so MANY other things he could have given her that express the culture and the history of the USA. Fine Shaker chairs, or a banjo from the South or even a first edition of a famous Hawaiian or Illinois author. An Ipod, how crass. Thanks to everyone for explaining about the tranches. One more question if I may. It sounds like part of the problem is the issue of who owns the paper on the house, and how do we put that together with the bank/fund/person who owns the tranch on the house, because they might not be the same entity. Is this correct? We think Denninger and Weiss are far too optimistic in this regard. Of course there are always bounces of different sizes and bottoms that are more and less lasting. If I had to say when we might see a bottom that could last a few years instead of days weeks, or months, I wouldn't suggest such a thing would be possible before the middle of the next decade at the earliest. This does not preclude largish rallies within that timeframe though. I terms of what the world might look like by then, Denninger and Weiss and other purely finance types seem to think that recovery is possible to something at least vaguely resembling business as usual. That isn't our position. We would say that the combination of capital and energy scarcity will preclude a return to anything most of us would recognize (with the possible exception of those almost a hundred years old or who grew up in a war-torn third world country). Without the tremendous energy subsidy of fossil fuels and the magic of leverage, we will not be able to sustain anything like our current level of socioeconomic complexity, nor the global reach of our present imperial structure. We may be able to stabilize at much lower levels of complexity by centralizing control over resources and excluding most from access to them, so that those resources may be devoted to propping up a repressive power structure. This would hardly count as recovery from the point of view of the ordinary person, however. From that perspective the idea of recovery will be hollow indeed. This is essentially what the Romans did when facing a comparable crisis. Under Diocletian, Rome implemented repressive control over its subjects and their productive capacity in order to sustain the centre. The centre did indeed survive for a while longer, at the expense of the imperial periphery and the citizenry, but even this step could only last for so long. IMO as a global society we will NEVER return to the level we saw at this past peak, with 6.5 billion people and a quasi-stable middle class in the countries comprising the centre. We are moving rapidly towards far fewer people in a far more ruined world, as desperate people further degrade global carrying capacity on the way down, and we are moving back to a world where the few live like kings while a large proletariate eeks out at best a marginal existence in virtual slavery. That is where I see us going over this century, beginning (and most definitely not ending) with this depression. April 2 2009 1: Wake Up! Who Needs Reality?